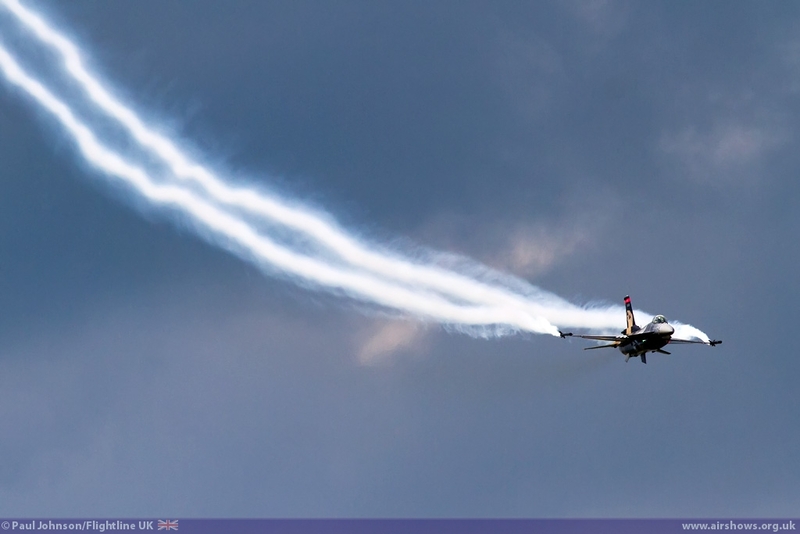 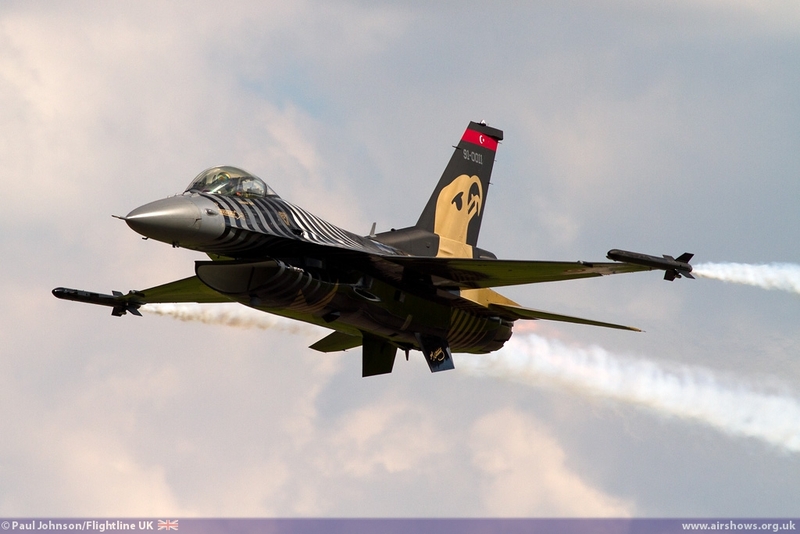 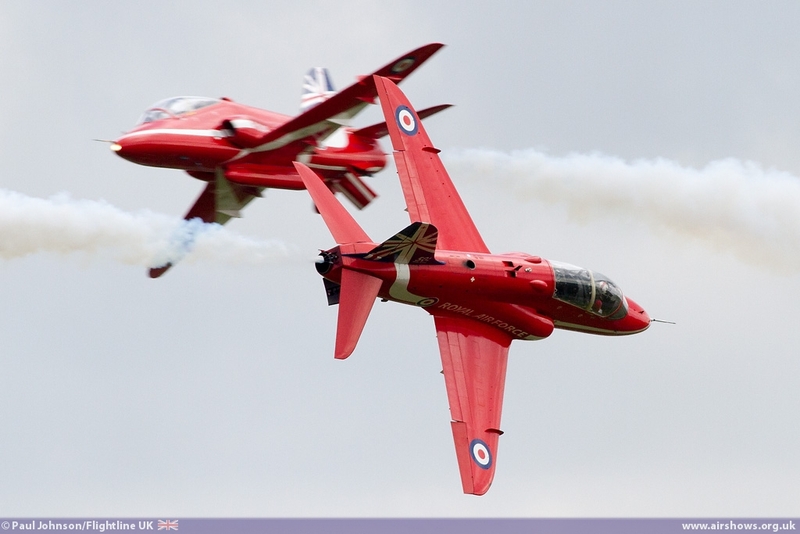 The second and biggest of the Royal Air Force airshows for 2014 was held at RAF Waddington in early July. 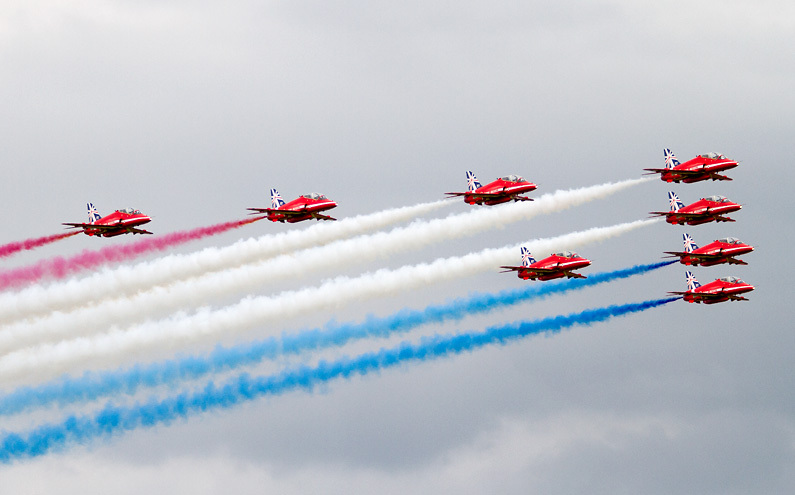 The show has become incredibly popular attracting crowds over 150,000 over two days to the Lincolnshire station for the international air display. 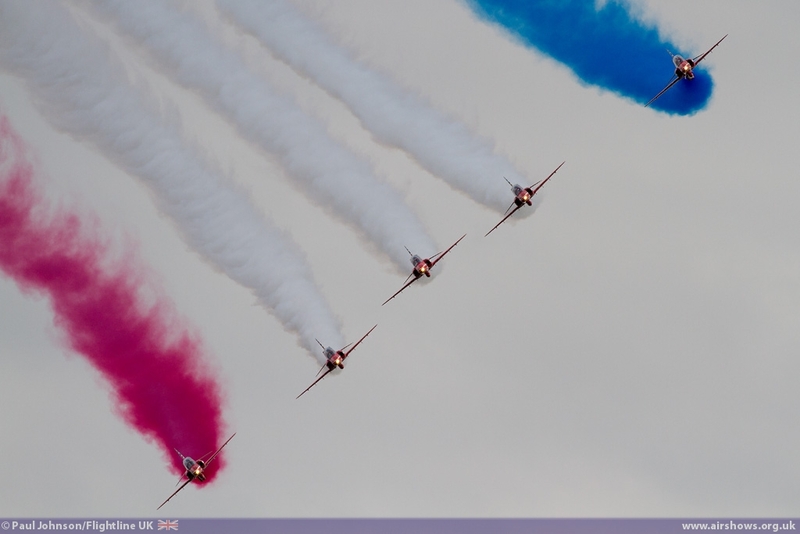 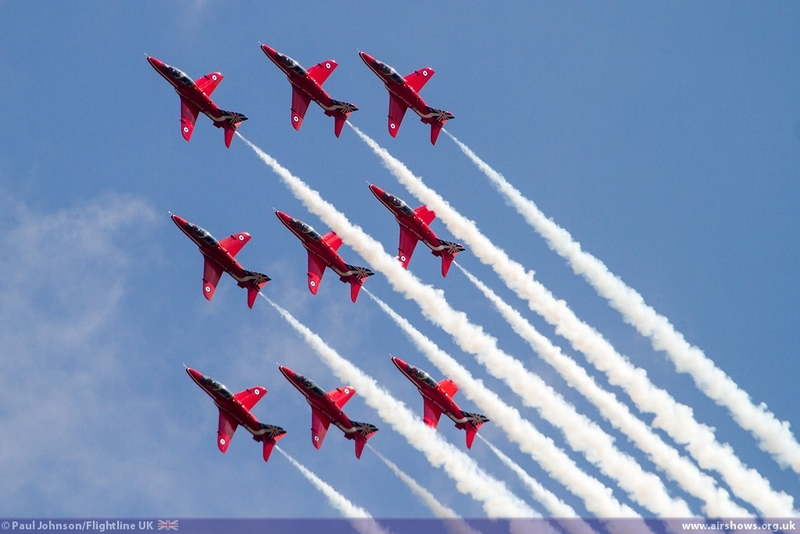 The show celebrated the 50th Display Season of the Red Arrows as well as the 65th Anniversary of NATO. 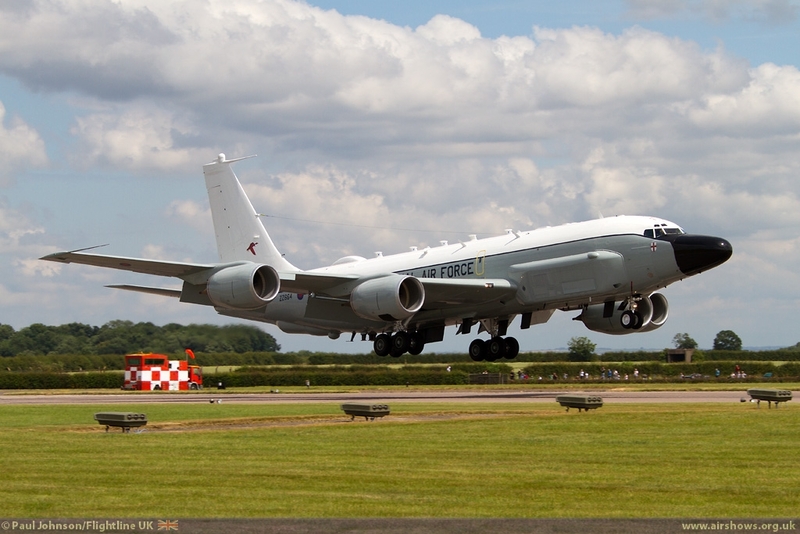 As always there was also a theme on ISTAR (Intelligence, Surveillance, Target Acquisition and Reconnaissance) which represents the day-to-day work of RAF Waddington. .
Lincolnshire is very much the home of the Royal Air Force with several large bases within or just outside the county boundaries and therefore there can be no more appropriate home for the RAF main airshow of the year than Waddington. 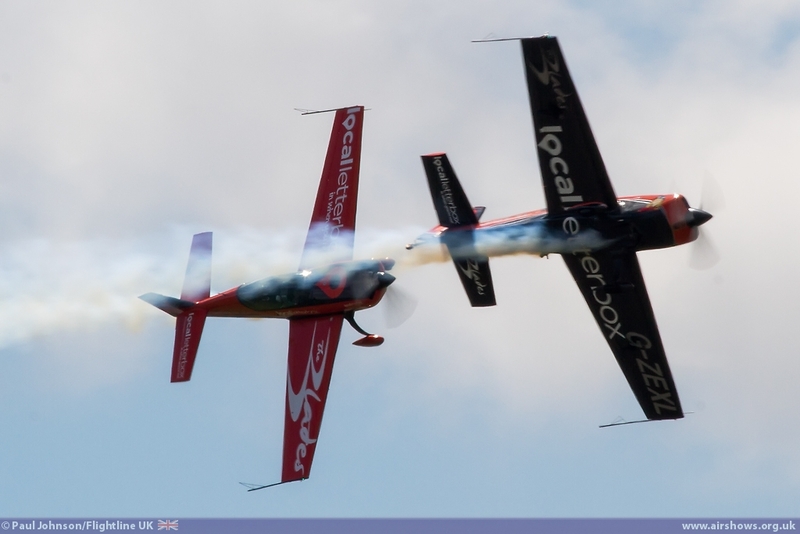 The show is in its twentieth year and is now the biggest event in Lincolnshire attracting crowds from across the UK and Europe. 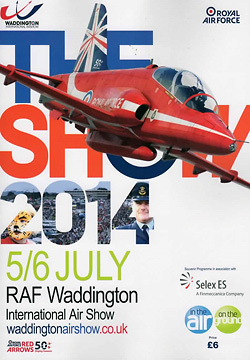 It is a massive event with some large static displays plus hangar exhibitions. These include a stage event called "RAF on Air" which presents many different personnel from the Royal Air Force including some of the display crews. 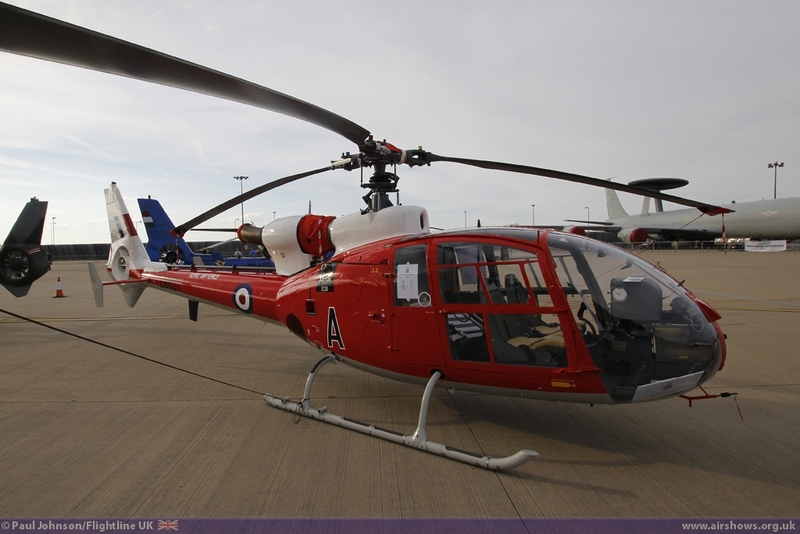 Other exhibitions included plenty of industry representation and also the Science Museum supporting the push to promote Science, Technology, Engineering and Mathematics (STEM) to a wider audience. 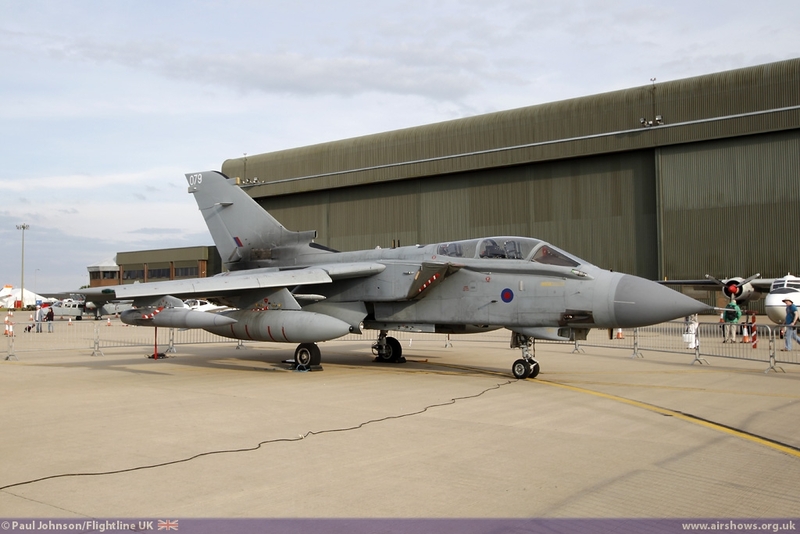 As always, much of the airfield was given over to a large static area. 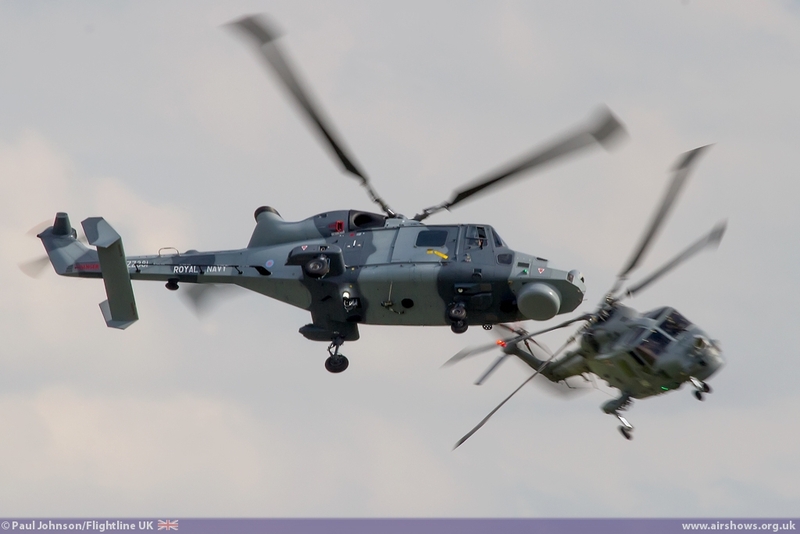 In these austere and some unstable times (particularly with uncertainty over the future of the Ukraine and Iraq) it was not surprising to see the military participation slightly down this year. 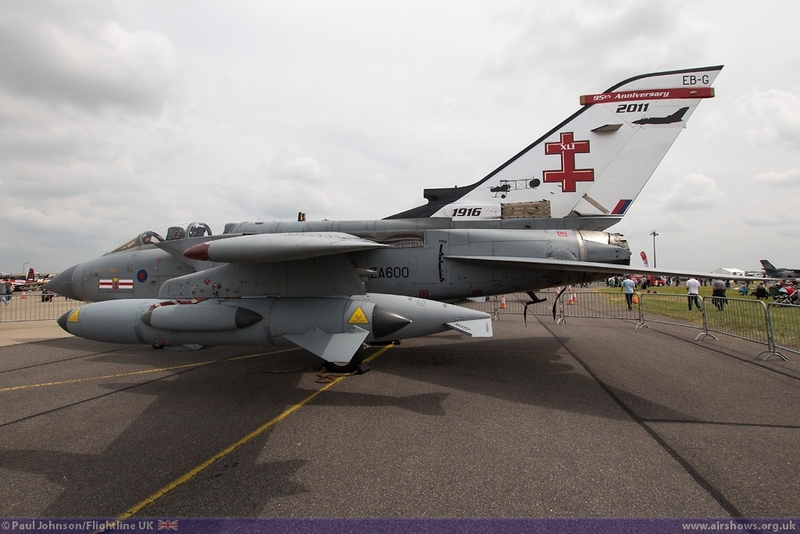 The Royal Air Force led the way with the largest contingent of static display ranging from the based Boeing E-3D Sentry right through to the fast jets such as the Panavia Tornado GR4 from 41[R] Squadron based at RAF Coningsby. 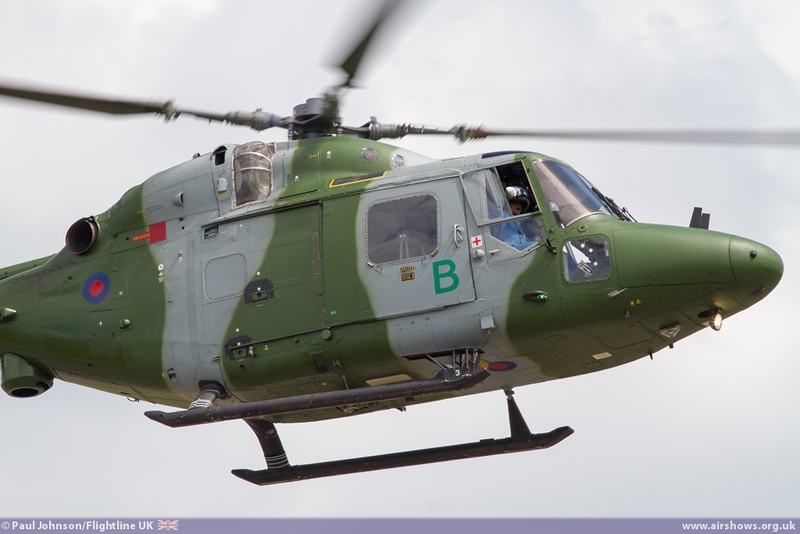 Like the RAF's transport fleet, RAF helicopters are kept incredibly busy at the moment so it was good to see the likes of the Airbus Helicopters Puma HC2 and Westland Merlin HC3 on static display too. 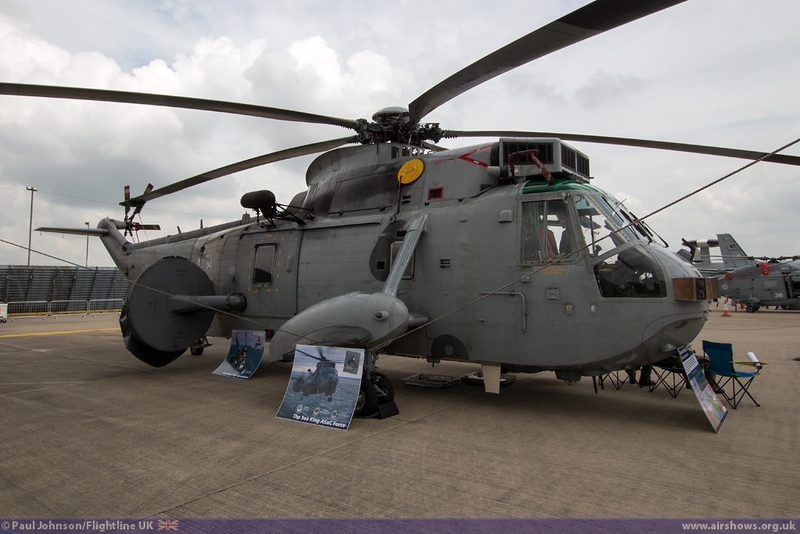 The Royal Navy sent a sizeable contribution too with examples of the Lynx HMA8, Beechcraft Avenger T1 and Sea King ASaC7 on static display. 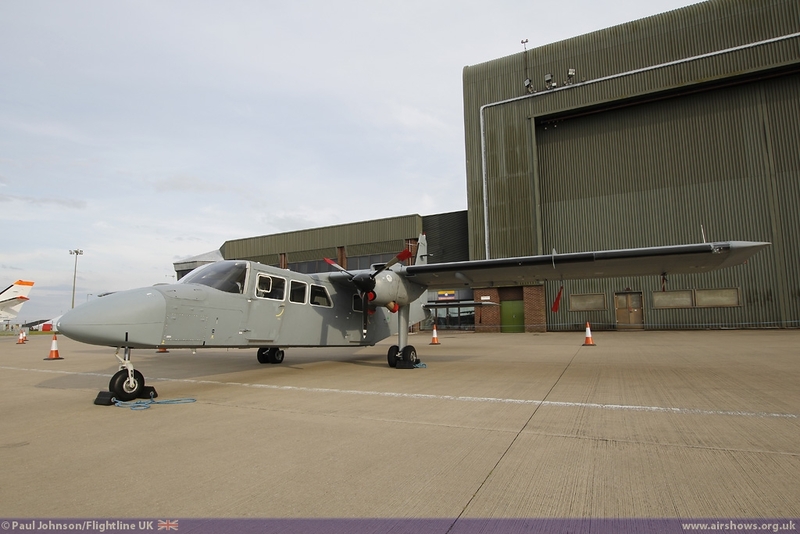 The Army were also in evidence with the Britten Norman Islander AL1. 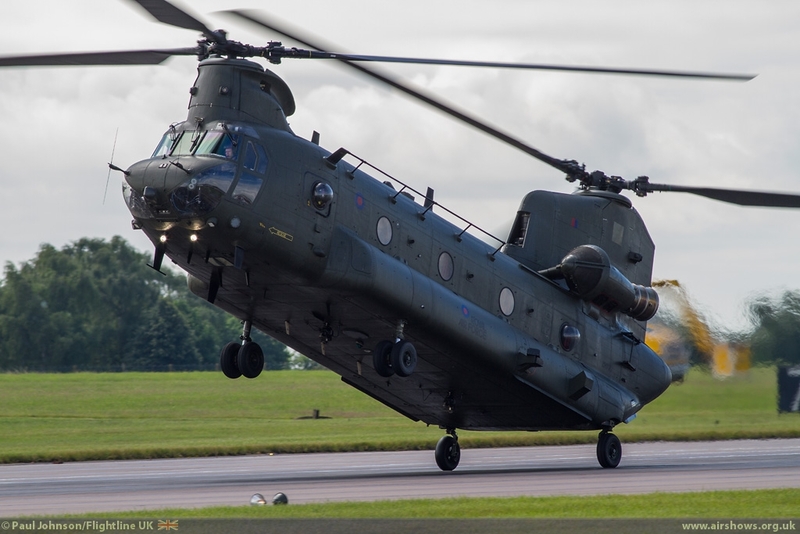 QinetiQ are regular attendees to Waddington and this year participated with their lovely BAE Systems Avro RJ70 and AgustaWestland A109E Power. 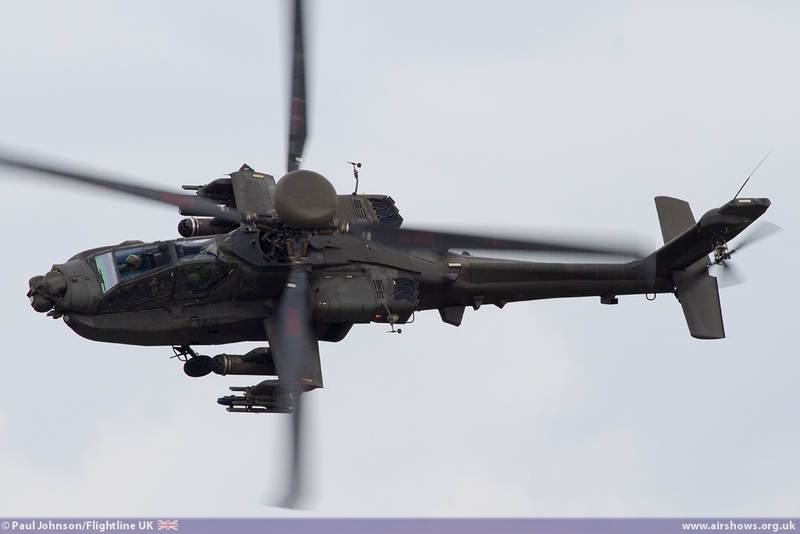 It was great to see some United States military assets back on the airshow circuit. 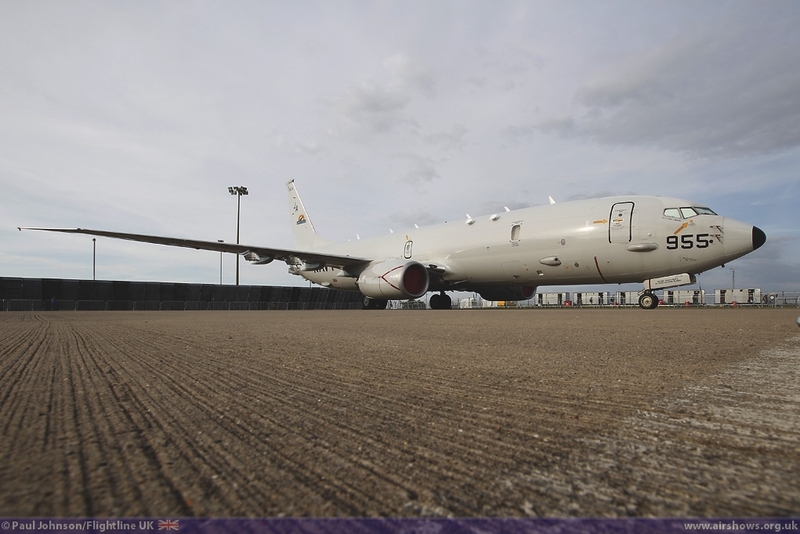 One of the stars of the static was the Boeing P-8A Poseidon from VX-1 of the US Navy. 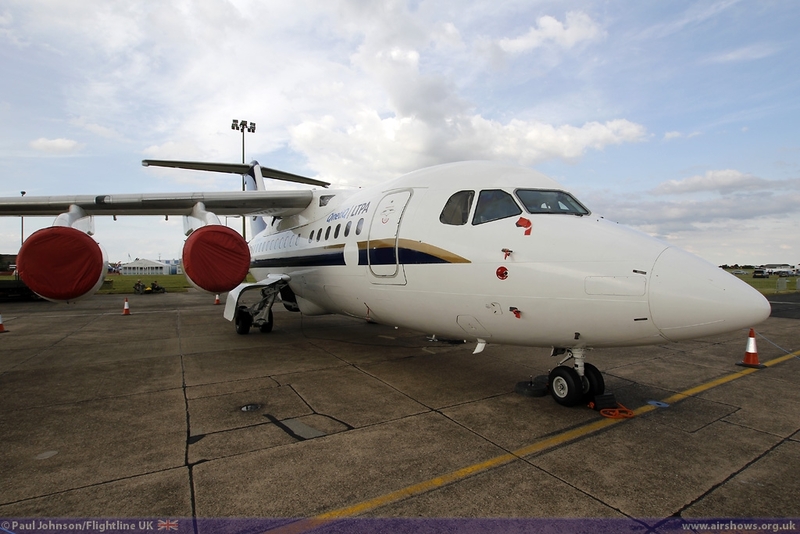 This new generation maritime patrol aircraft has already earned its spurs in exercises and search and rescue operations. 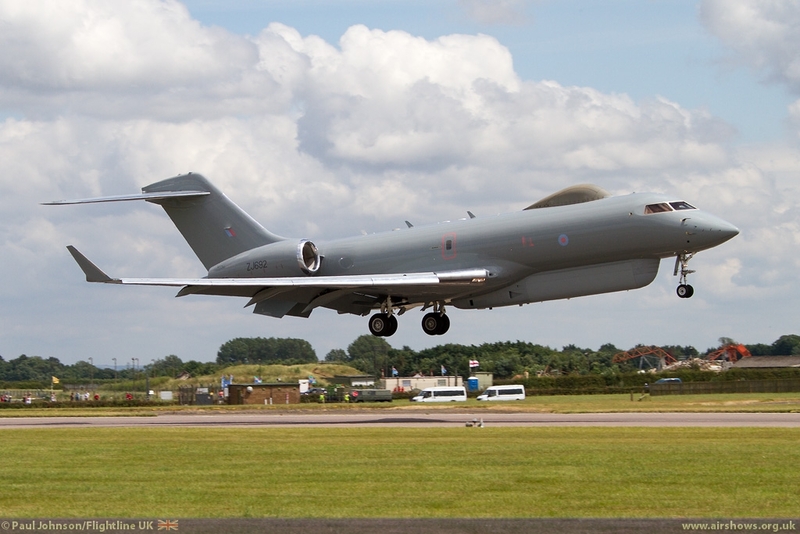 Its makers, Boeing, are hoping to see the type to the UK MoD as a belated replacement for Nimrod and the aircraft will tour RIAT and Farnborough after Waddington. 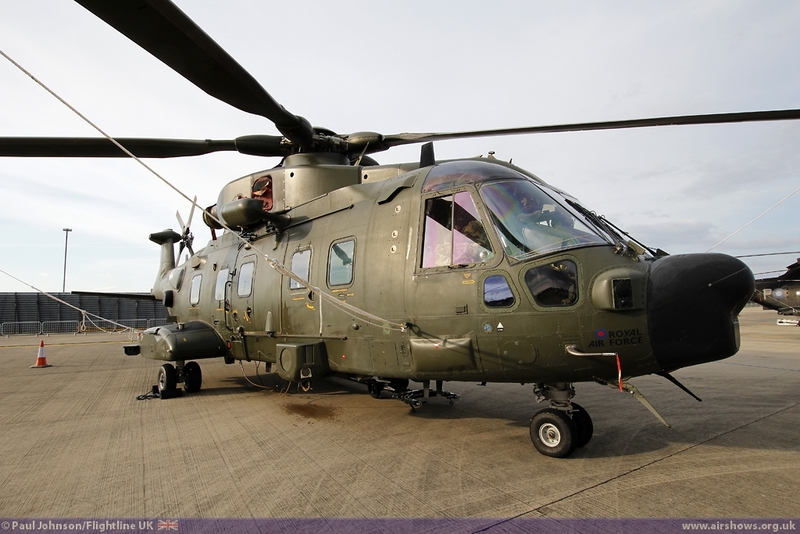 Joining the "heavies" on static display were a pair of transports from the Italian Air Force. 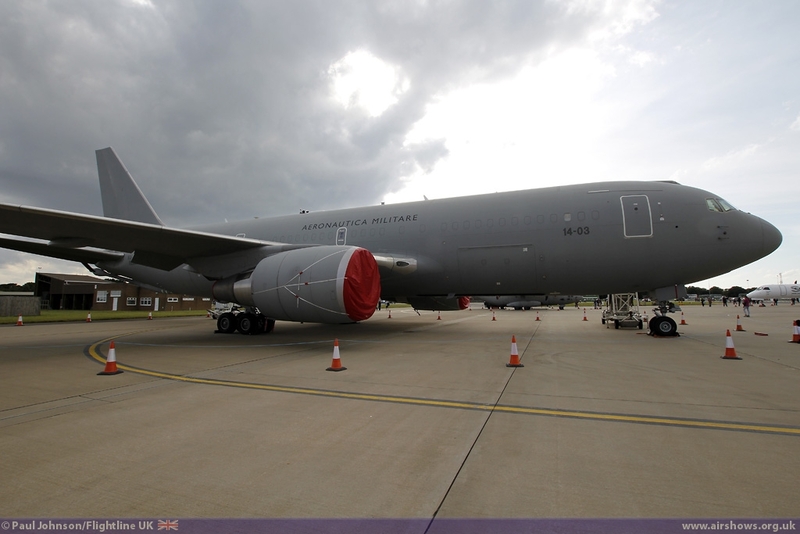 The Boeing KC-767A has previously appeared at RIAT both on static and in the flying so it was good to see it at a new venue. 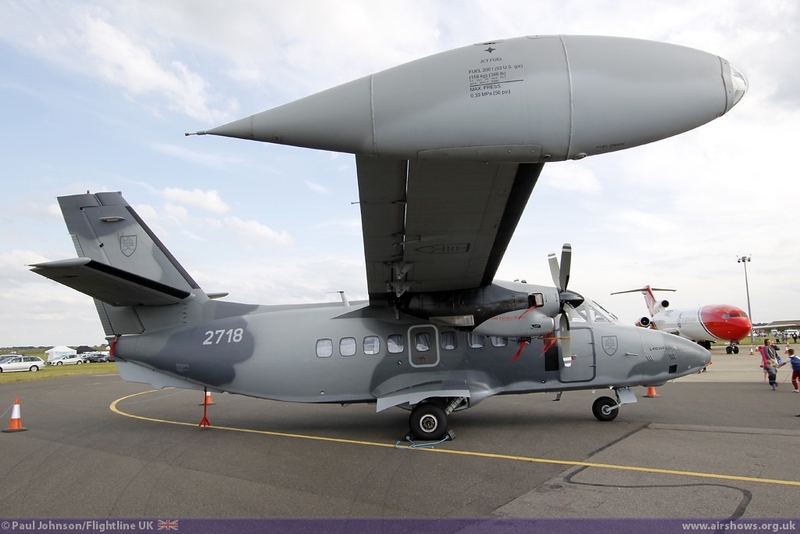 It was joined by a standard squadron Alenia C-27J Spartan. 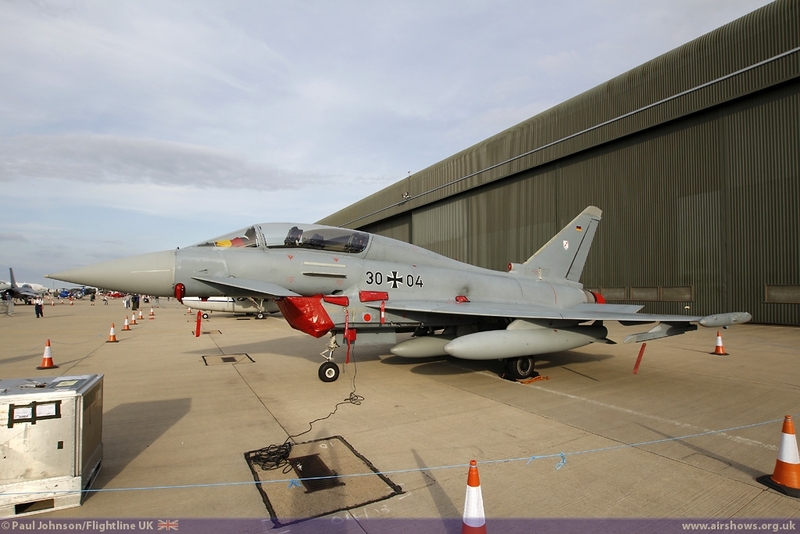 Fighters came from Denmark and Germany with examples of the F-16AM/BM Fighting Falcon and the Eurofighter Typhoon. 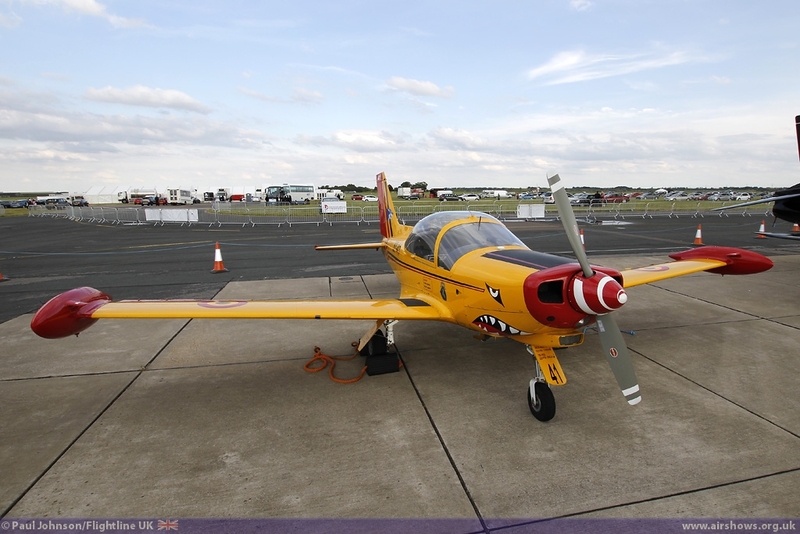 Slovakia made a welcome return to Waddington with a special schemed Aero Vodochody L-39C Albatross which was supported by a Let 410UVP transport. 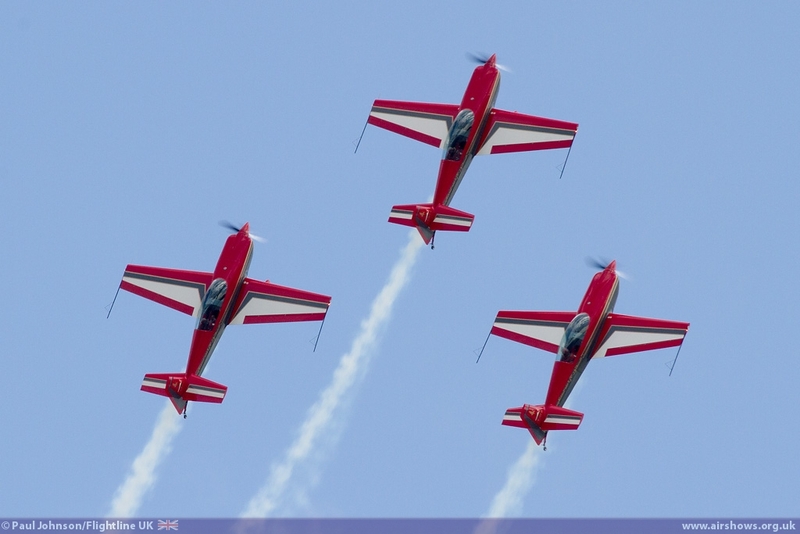 The L-39 has originally been slated for the flying display but that changed in the run-up to the show. 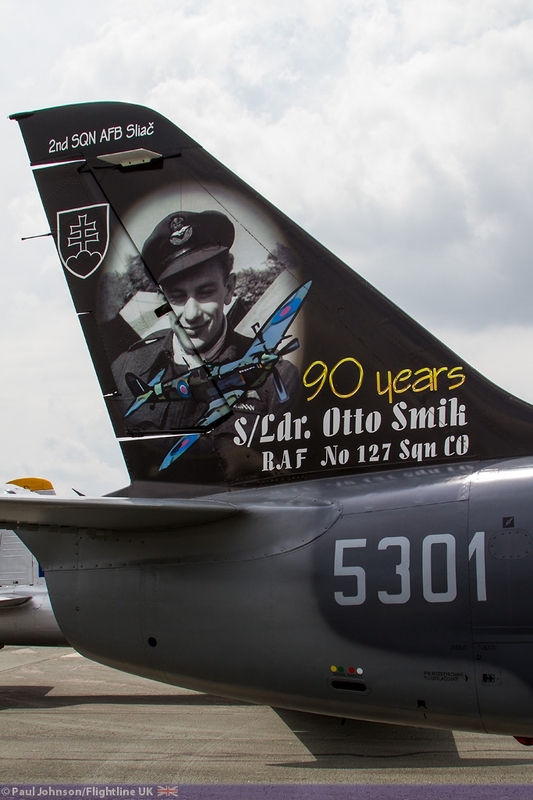 It was however great to see the Slovaks make a return to UK airshows and it also won the award for best presented static display aircraft with some beautiful tail art. 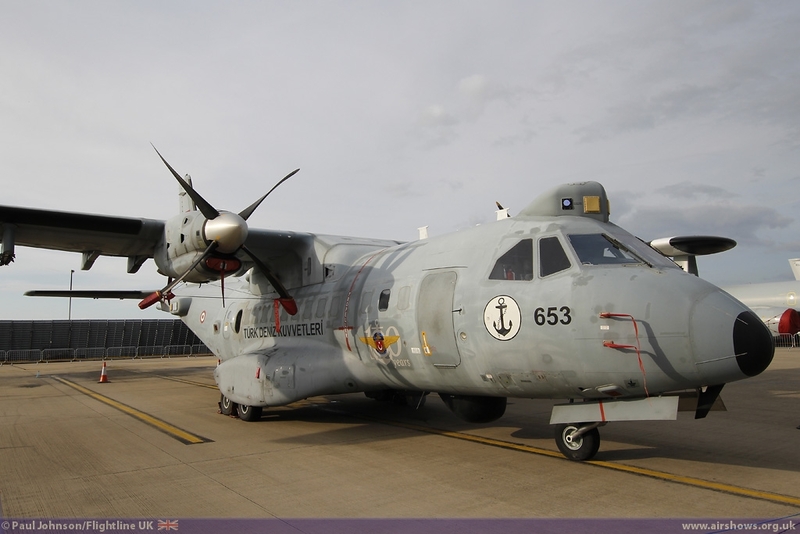 A welcome débutante was the Airbus Military CN235MP from the Turkish Navy. 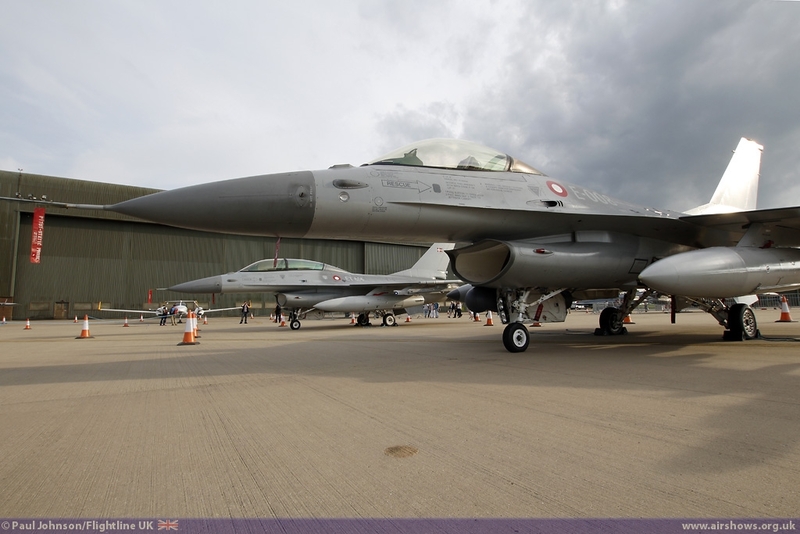 While the Turkish Air Force has long supported UK shows, we cannot remember the last time the Turkish Navy took part so Waddington had a welcome coup. 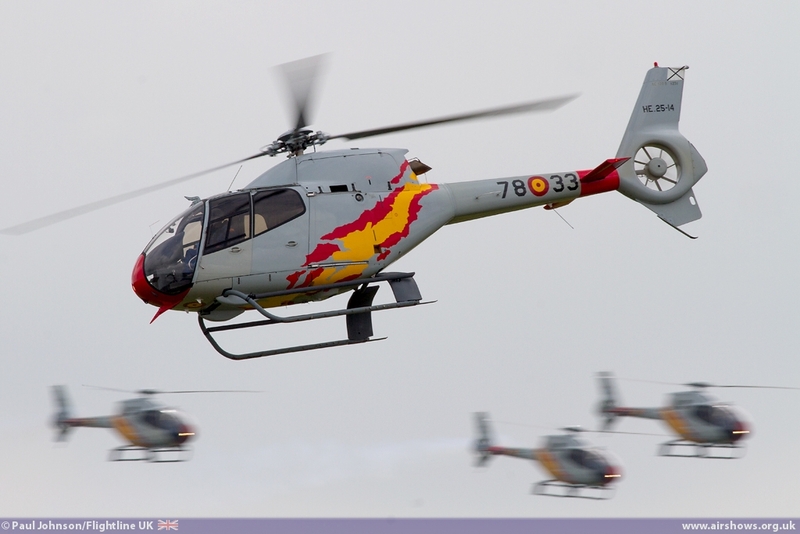 Far more familiar to UK audiences are the Belgian and Royal Netherlands Air Forces. 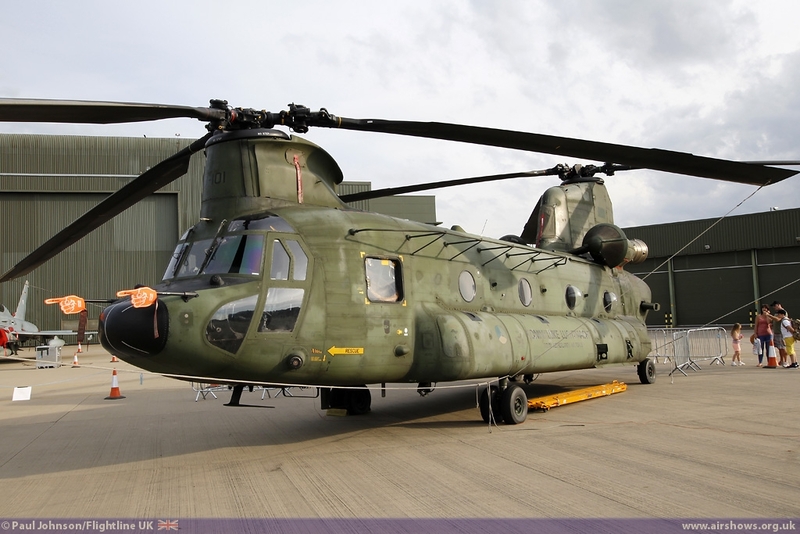 Each contributed to the static display with a SIAI-Marchetti SF260 and a Boeing CH-47D Chinook respectively. 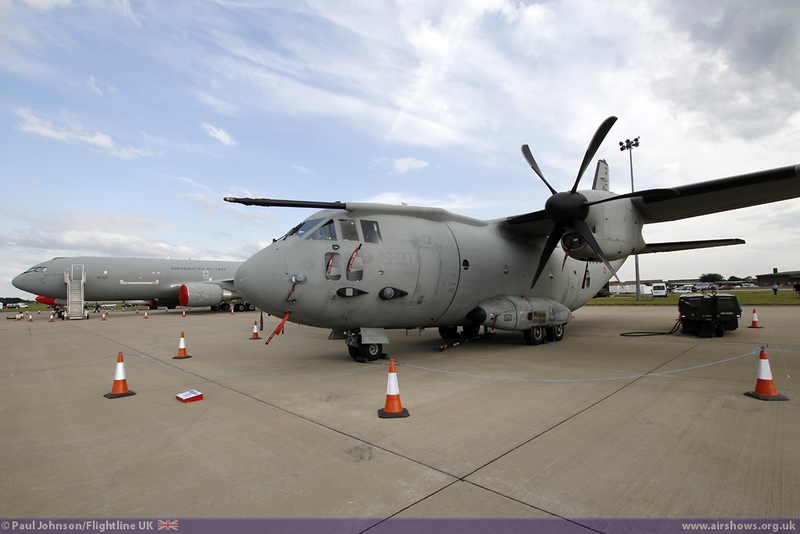 Waddington has seen an increasing about of company demonstrator aircraft participate in its static displays in recent years. 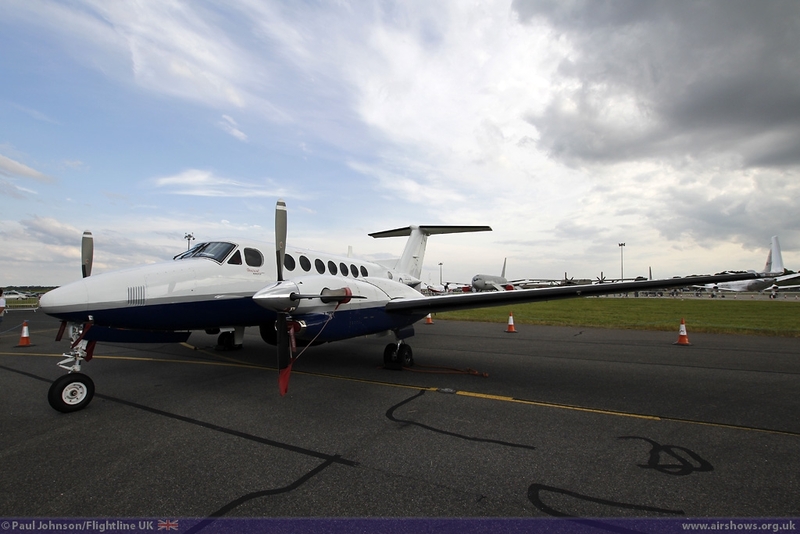 Joining the Boeing P-8A was the SAAB 2000 Swordfish Martime Patrol Aircraft concept which has visited the Waddington Airshow regularly in recent years. 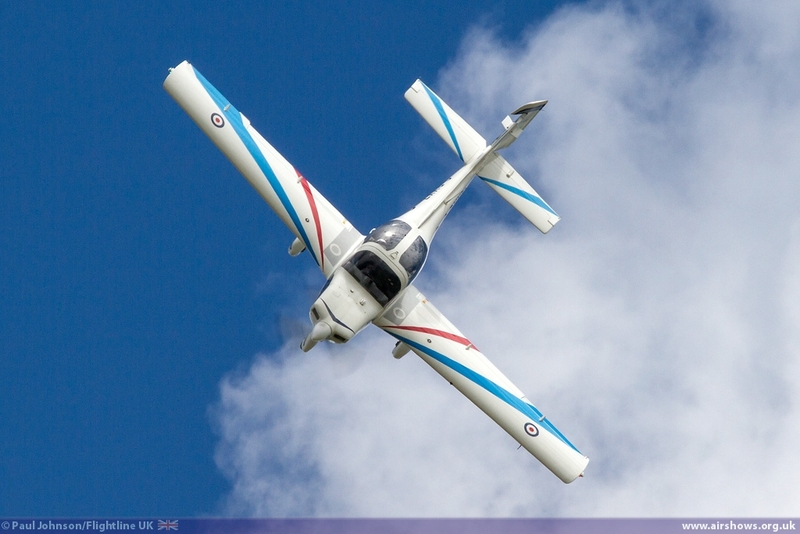 Another type that could soon be gracing the Lincolnshire skies as a basic trainer is the Beechcraft T-6C Texan. 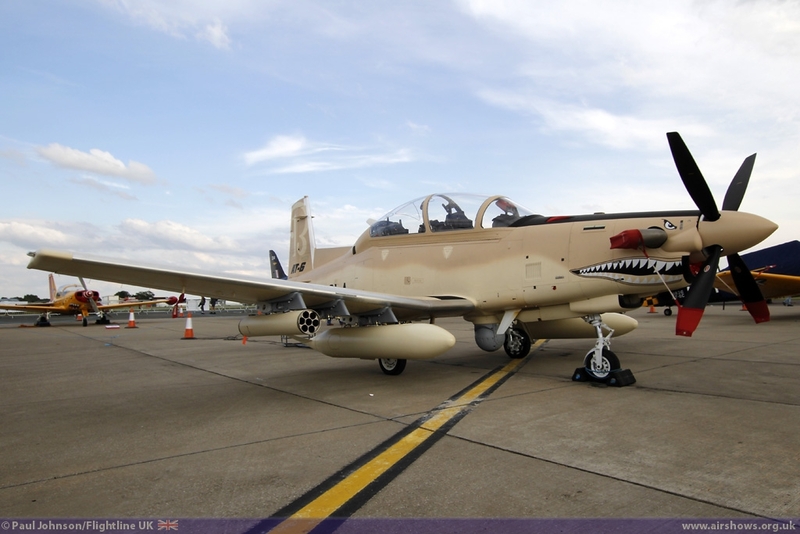 The type is part of a package from one of the leading bids to supply the future UK military flying trainng system and came in company with the armed AT-6C light strike and close air support variant. 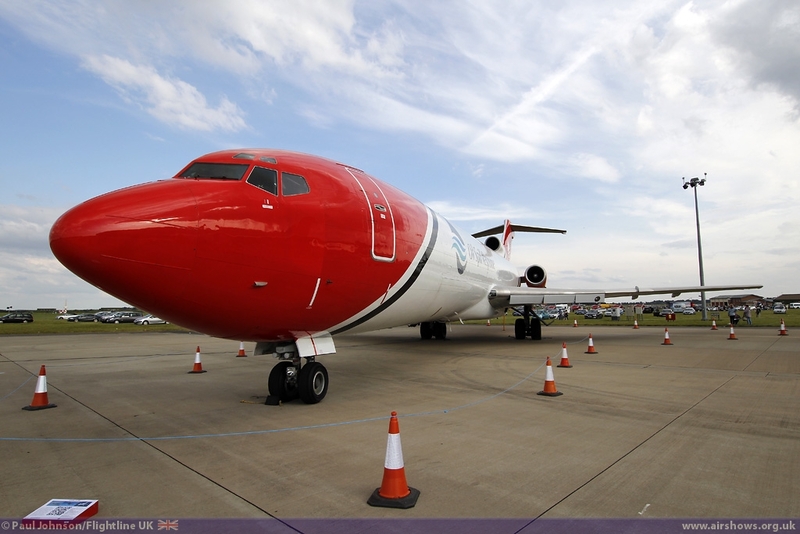 2Excel Aviation also sent their "new" Boeing 727 aircraft. 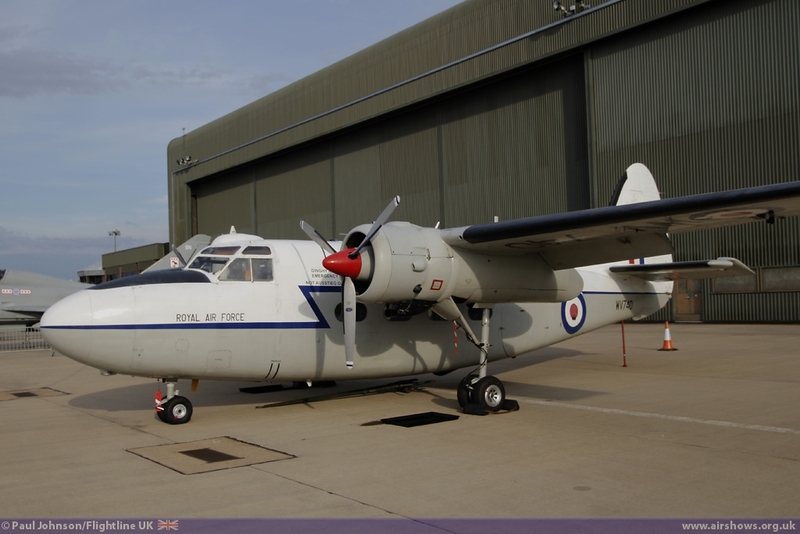 This aircraft has been modified into a Pollution Control aircraft capable of spraying dispersant over Oil Slicks and other potential environmental accidents at sea. As always, there were plenty of interesting historic and civilian aircraft in the static display including some from overseas. 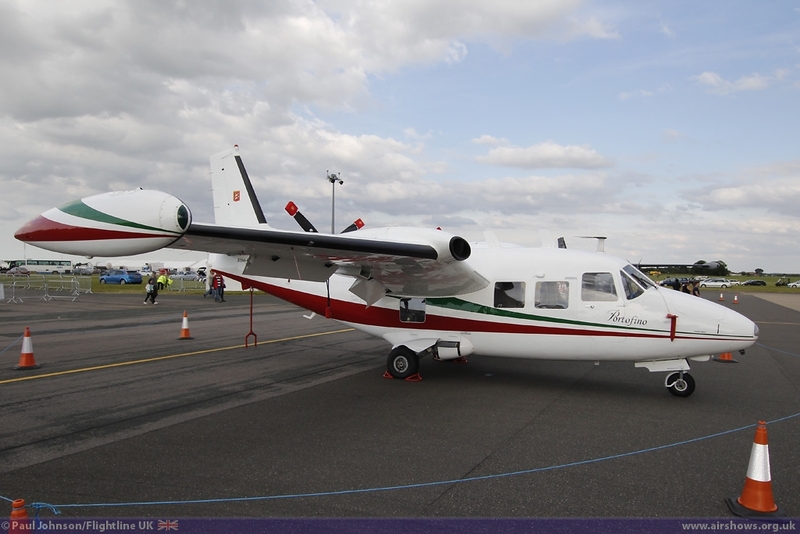 From Italy came examples of Piaggio P166C and a Falco F8L. 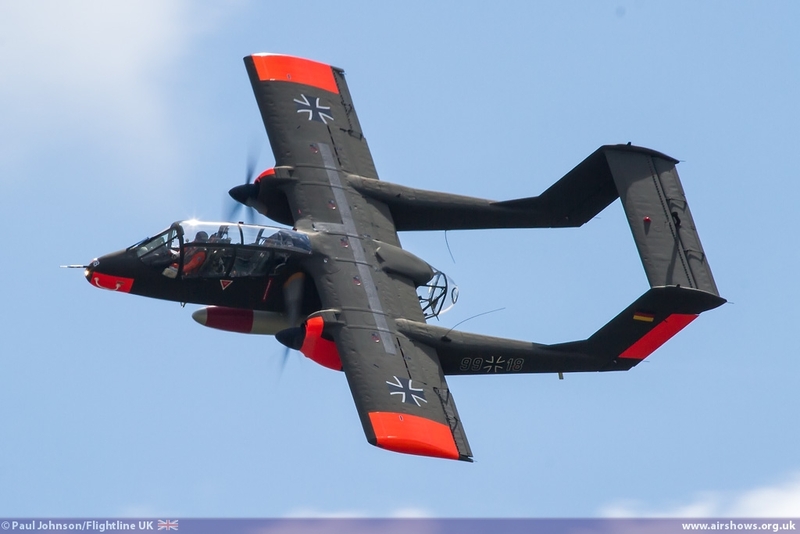 The Belgian based Bronco Demo Team were supported by Invicta Aviation's Shorts SC-7 Skyvan which was also on static display. 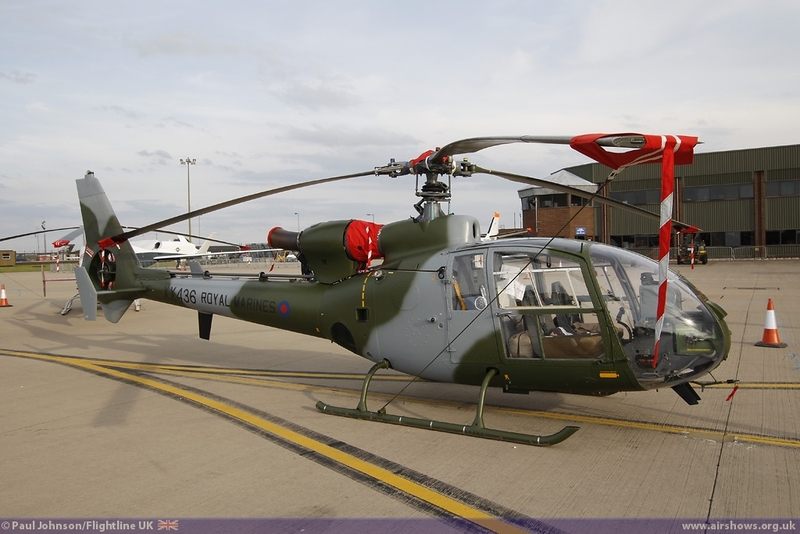 Standing out from the UK based participants were the UH-1H Iroquios and OH-6A Loach from the Huey Display Team, the Gazelle Display Team with examples of Gazelle AH1 and HT2 plus multiple examples of the Jet Provost. 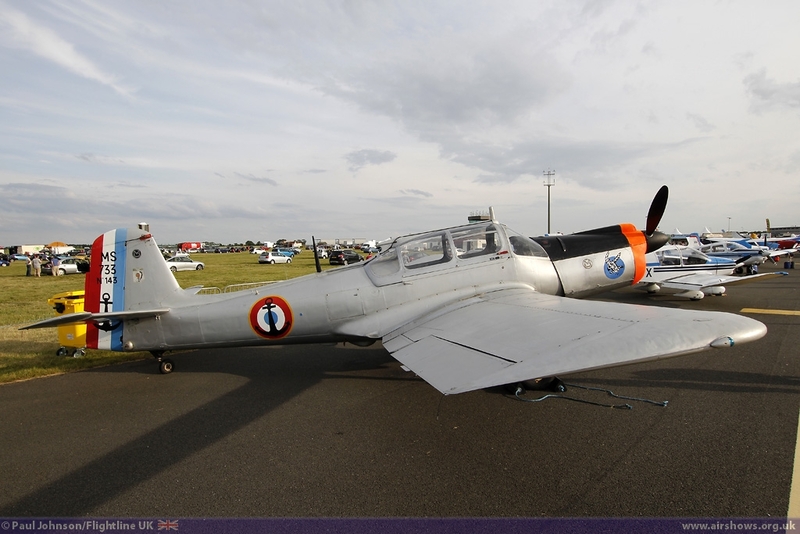 It was also good to see the return of a Percival Pembroke to the static with the recently refurbished WV970 on show plus examples of the North American T-6 Texan and the Morane Saulnier Alycon. 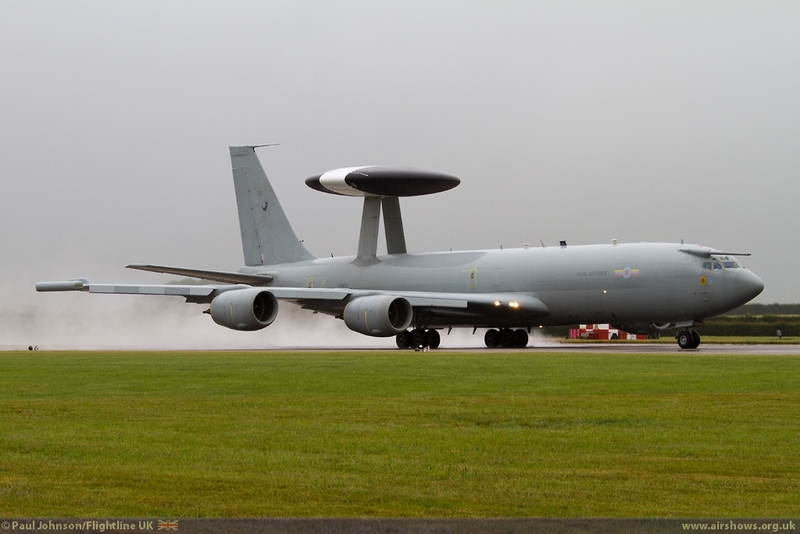 The flying displays were opened as ever by the station flypast consisting of the usual Boeing E-3D Sentry AEW1 and the Raytheon Sentinel R1. 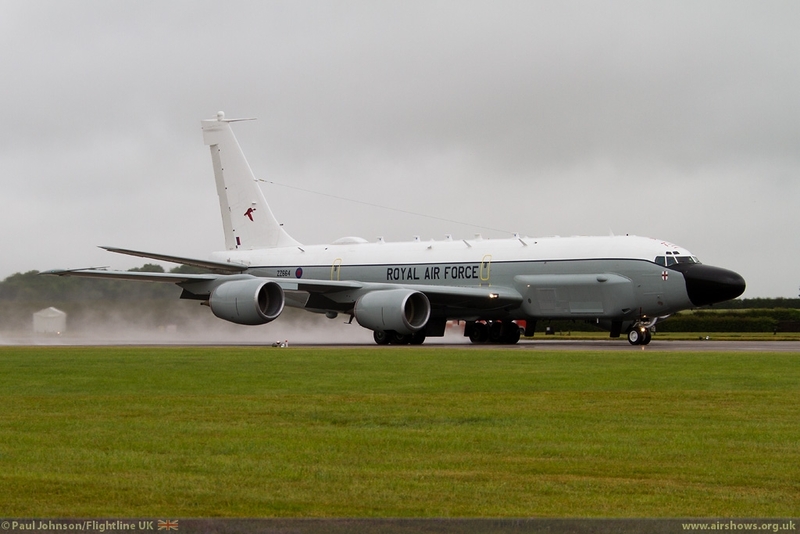 However, most notably the flypast including the new Boeing RC-135W Rivet Joint for the first time in full Royal Air Force colours. 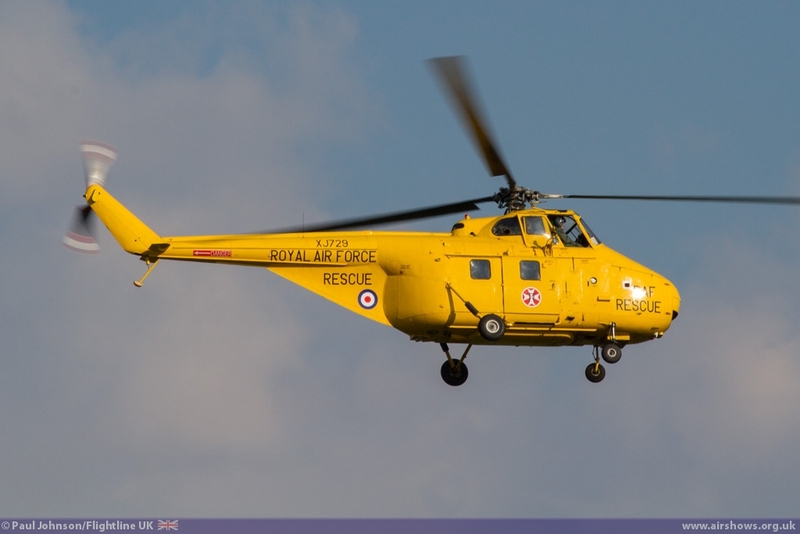 Though the aircraft is yet to declared fully operational the aircraft represents a significant boost to the RAF's ISTAR capability and will soon be joined by two further examples. 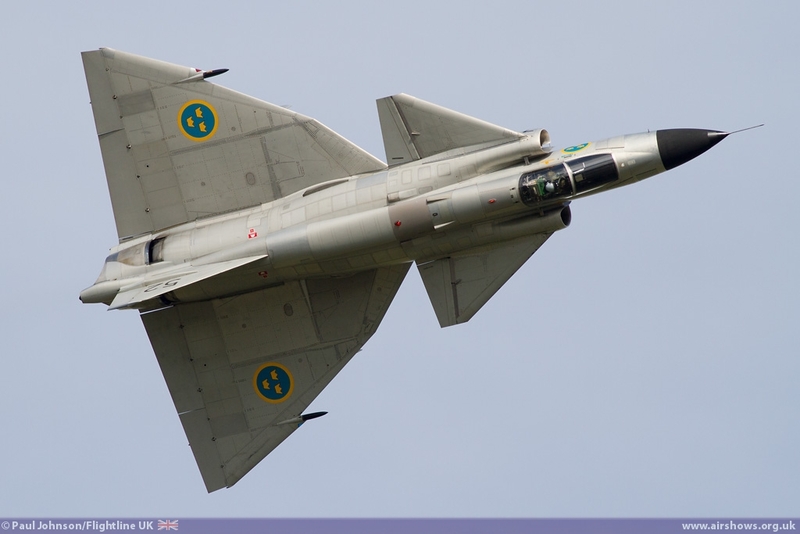 Low cloud on both days forced the aircraft to perform individual missed approaches. 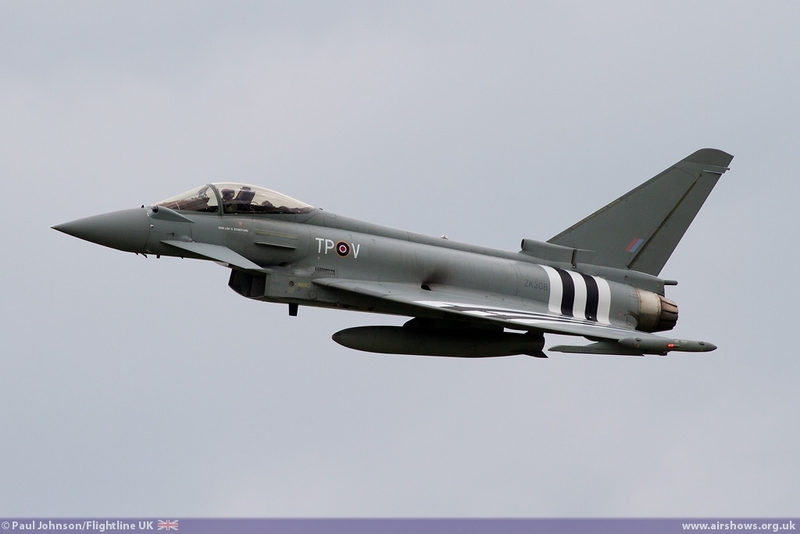 All of the Royal Air Forces display assets were in attendance including the solo displays from Flt Lt Noel Rees in the Typhoon FGR4, Flt Lt Dave Kirby in the Shorts Tucano T1 and the Flt Lt Andy Preece in the Grob Tutor T1. 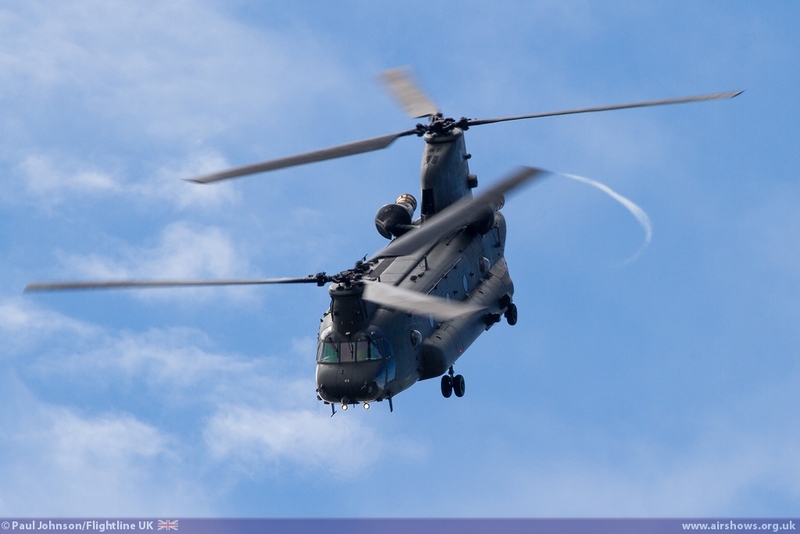 The Boeing Chinook HC2 solo display was out on its first big weekend away and the displays was just as impressive with some incredible blade slap, quick stops, spiral descent and powerful climbs. 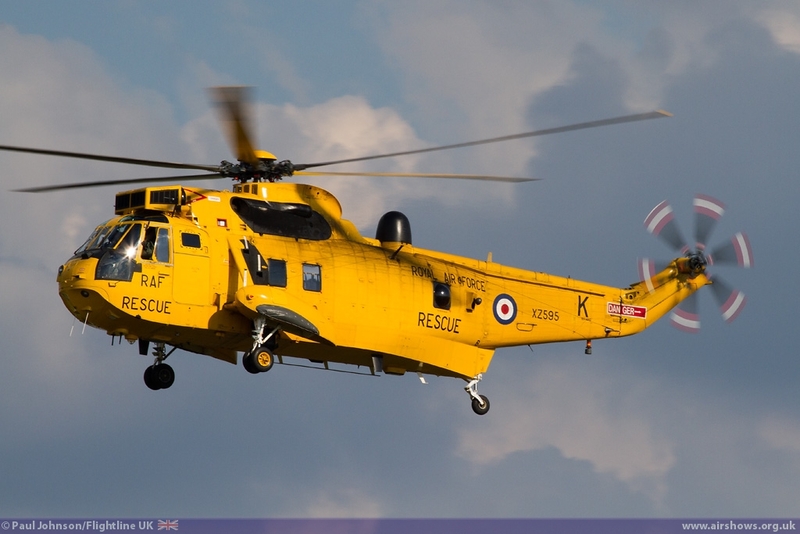 A RAF Leconfield based Sea King HAR3 also gave its final role demos at the Waddington Airshow before the type is retired in favour of the civilian operated SAR-H programme. 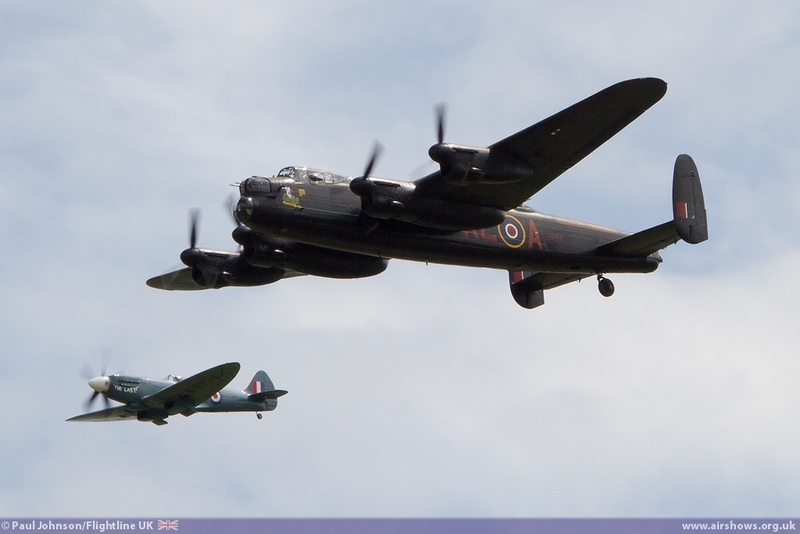 The Battle of Britain Memorial Flight made a sizable contribution to the flying with the Avro Lancaster, two Spitfires (the MkIX and PR XIX on Saturday, and the MkIX and MkII on Sunday) and the Douglas Dakota all taking part in various points in the afternoon. 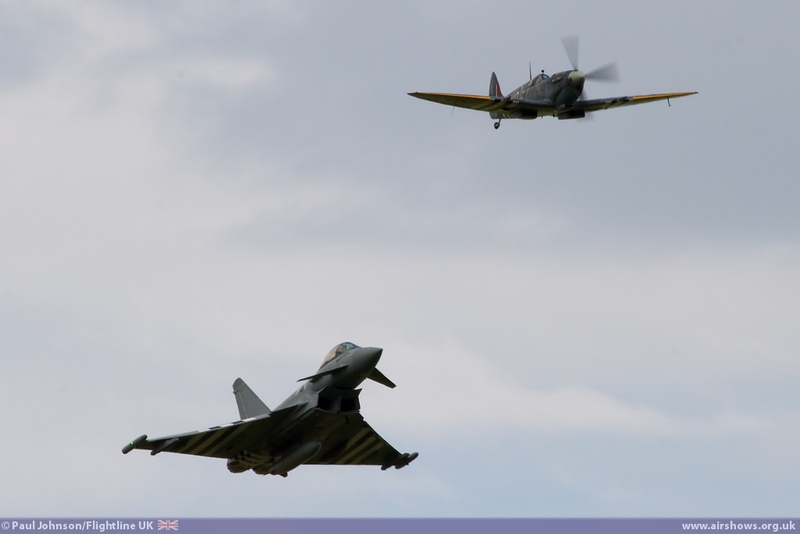 To mark the 70th Anniversary of D-Day, the BBMF Spitfire IX joined up with the D-Day marked Eurofighter Typhoon for a couple of passes. 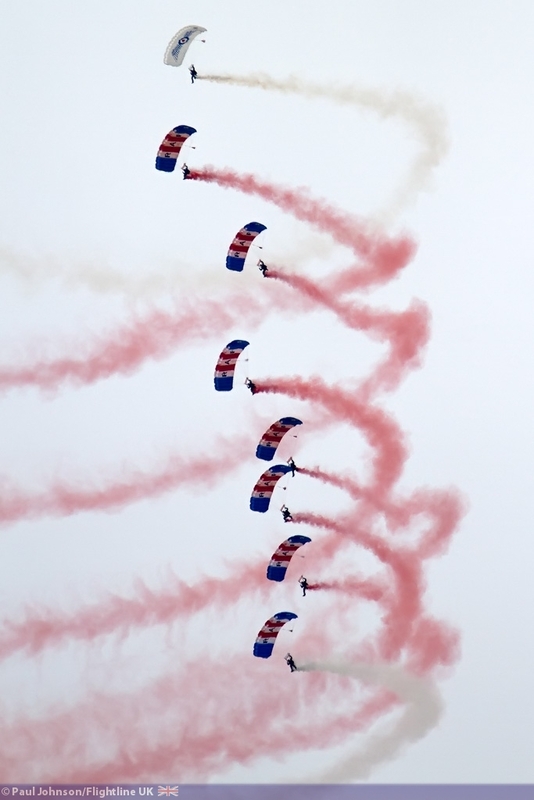 No RAF show would be complete without the inclusion of the RAF Falcons Parachute Display Team who jumped in on Sunday. 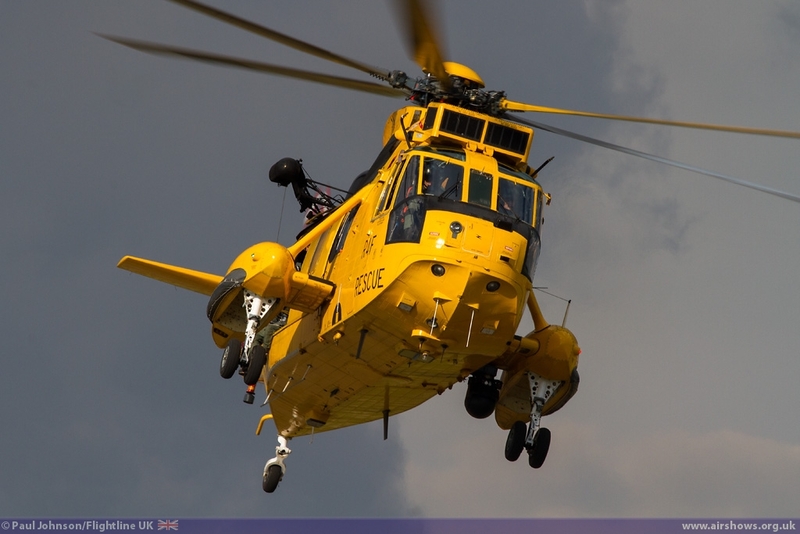 The RAF were joined by a sizeable contribution from the Royal Navy and Army Air Corps. 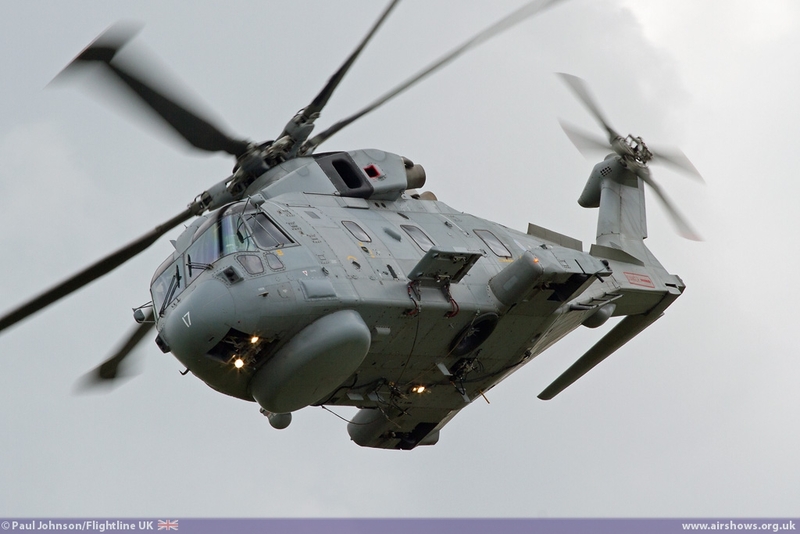 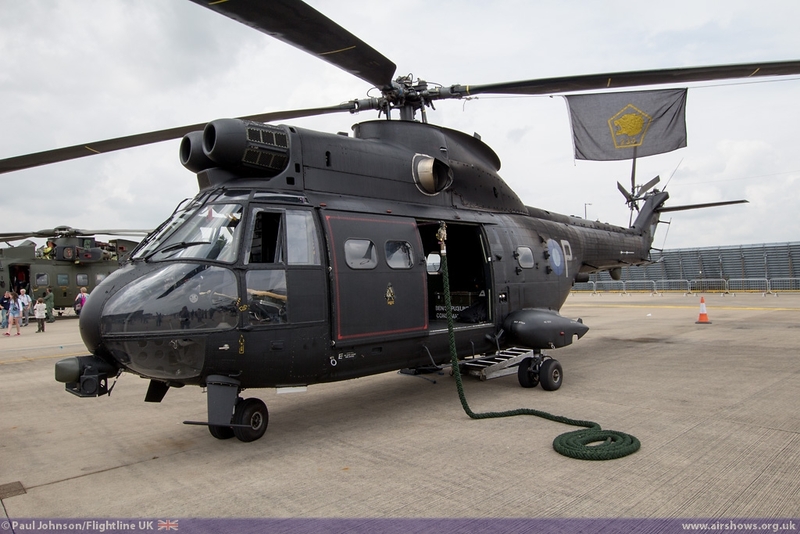 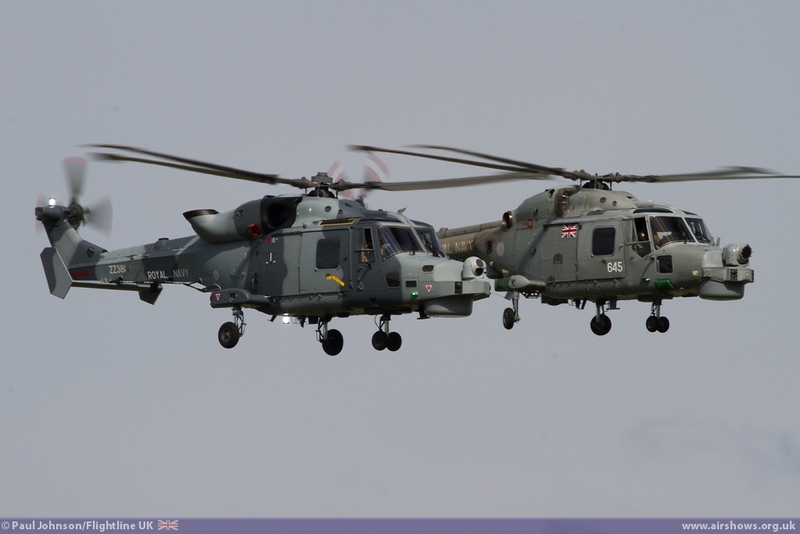 The Royal Navy presented the Black Cats Helicopter Display Team flying the new pairs display of Westland Lynx HMA8 and AW159 Wildcat HMA2 for the first time as well as a solo display by a Merlin HM1. 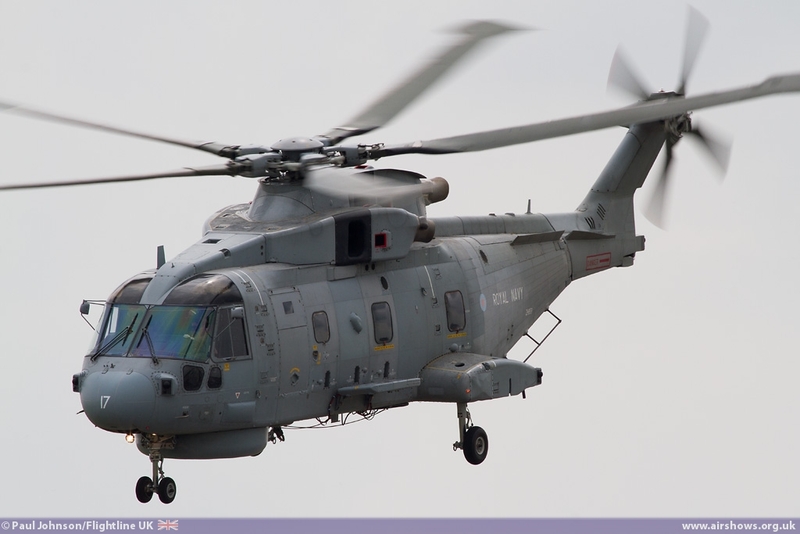 It was particularly appropriate to see the current Navy helicopters alongside the Wildcat in the week that the new Aircraft Carrier, HMS Queen Elizabeth was named. 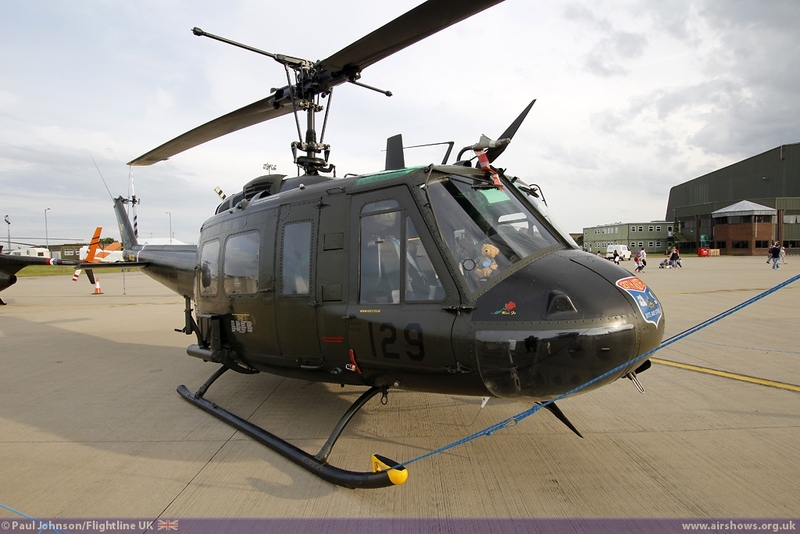 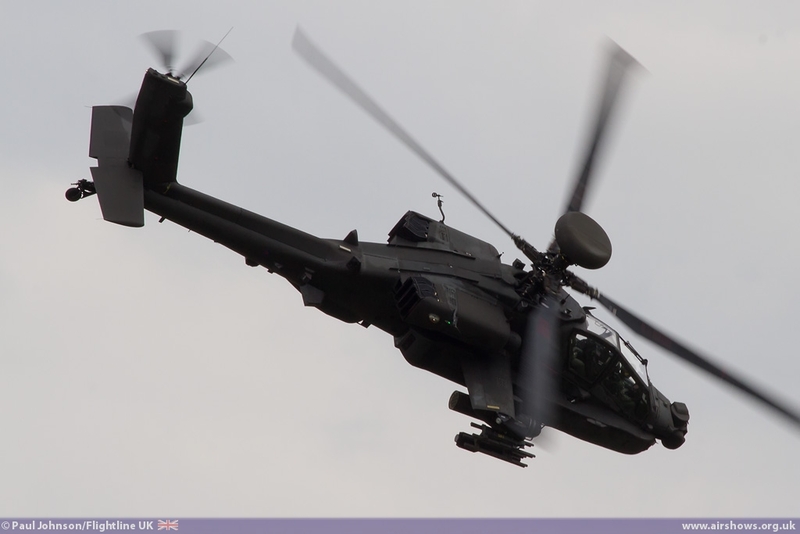 The Army Air Corps also contributed both its solo helicopter displays with the aerobatic Lynx AH7 and the WAH-64D Apache AH1, the latter displaying with accompanying pyrotechnic effects. 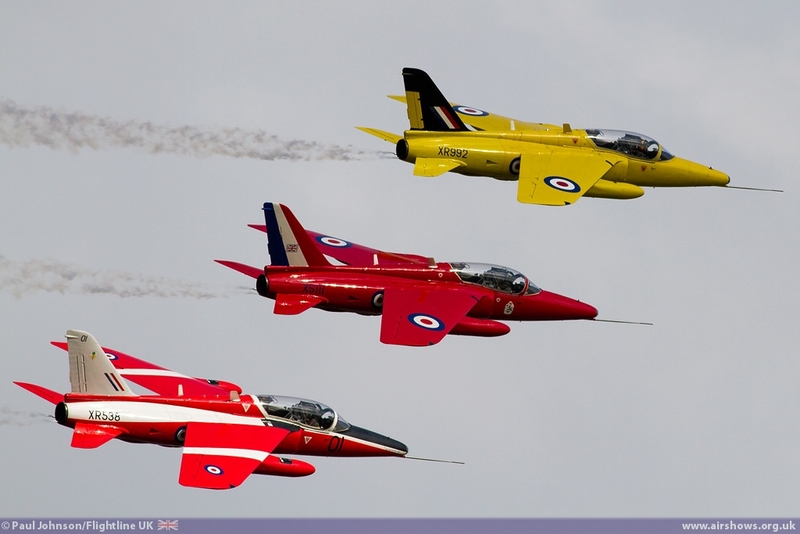 The celebrations were further enhanced by the Gnat Display Team which performed their new three ship. 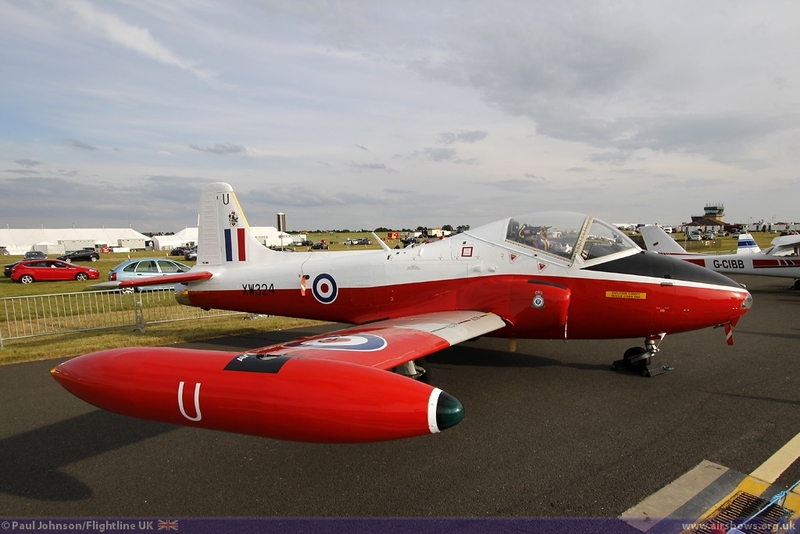 The latest airworthy aircraft in their fleet is the former Intrepid and Delta Jets operation Gnat wearing the markings of the immediate forerunners of the Reds, the Yellowjacks. 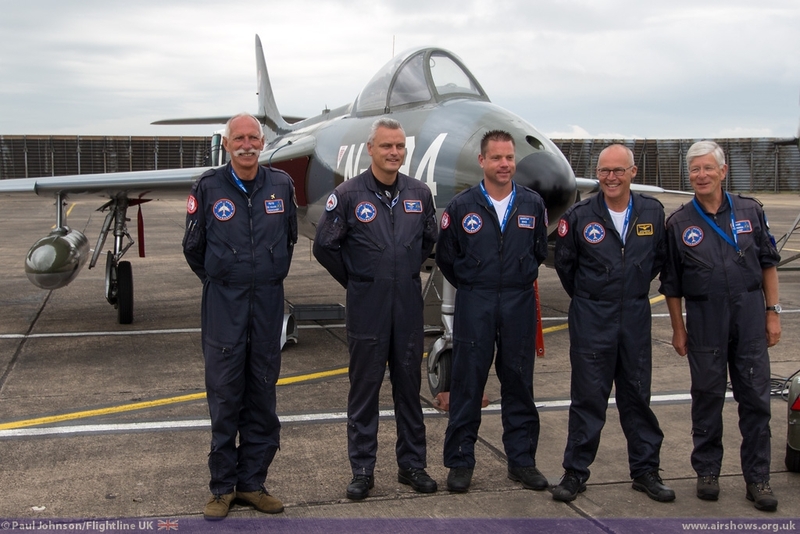 Saturday saw the Reds, the two aerobatic team marked Gnats and the Hunter Flight Academy's Black Arrows marked Hunter join for a special commemorative flypast. 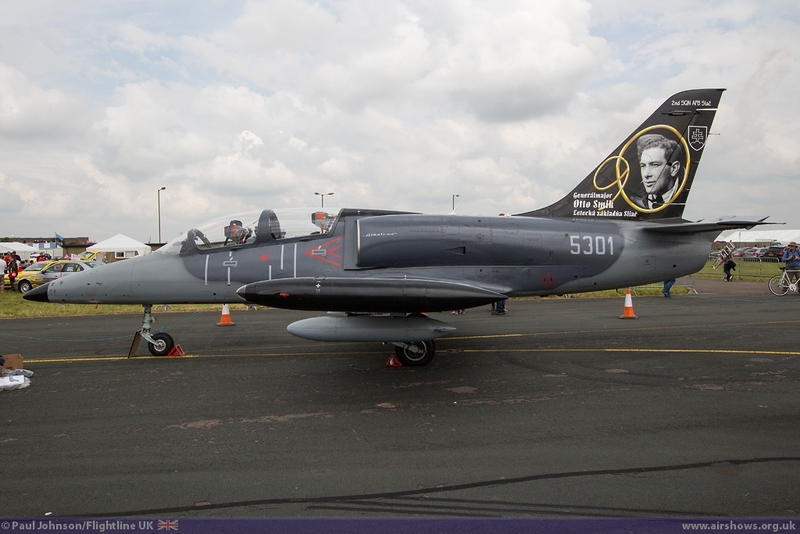 The Classic Jet line-up at this year's show was nothing short of spectacular with a wide range of aircraft from the UK and Europe. 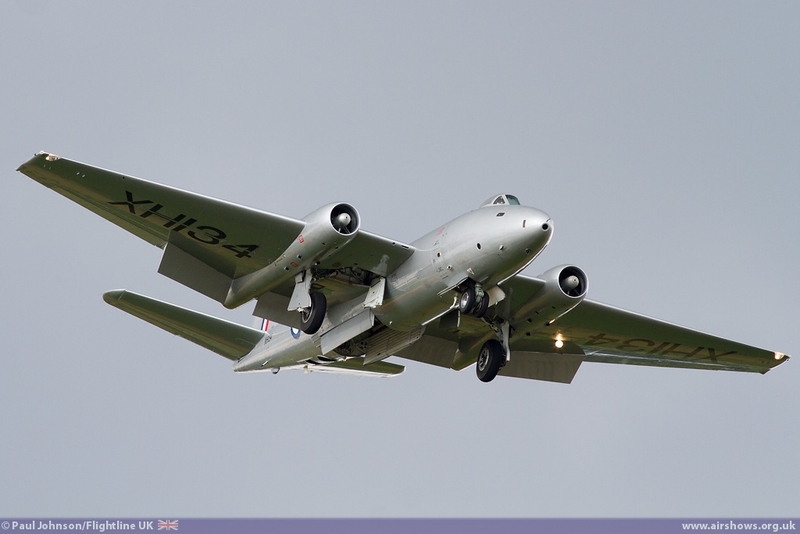 The Midair Squadron made their Waddington debut with the BAC Canberra PR9 flying on both days. 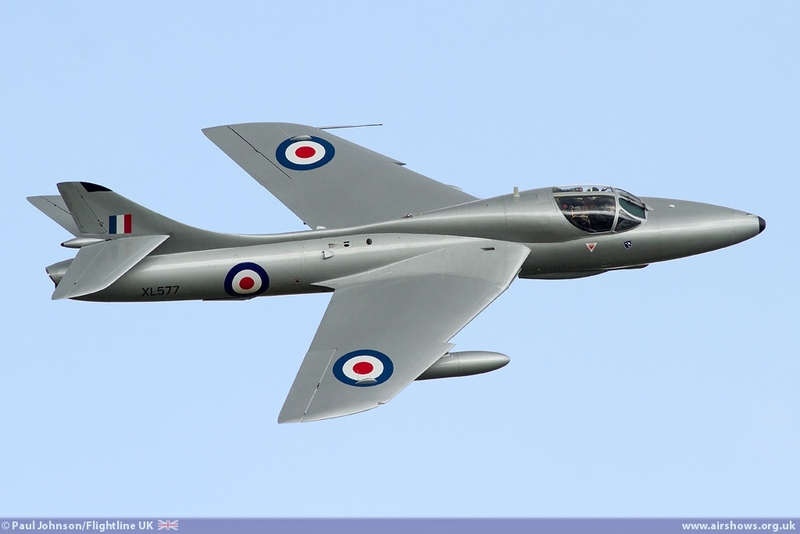 For Sunday's show it was joined by one of the Squadron's Hawker Hunter T7s for a joint display. 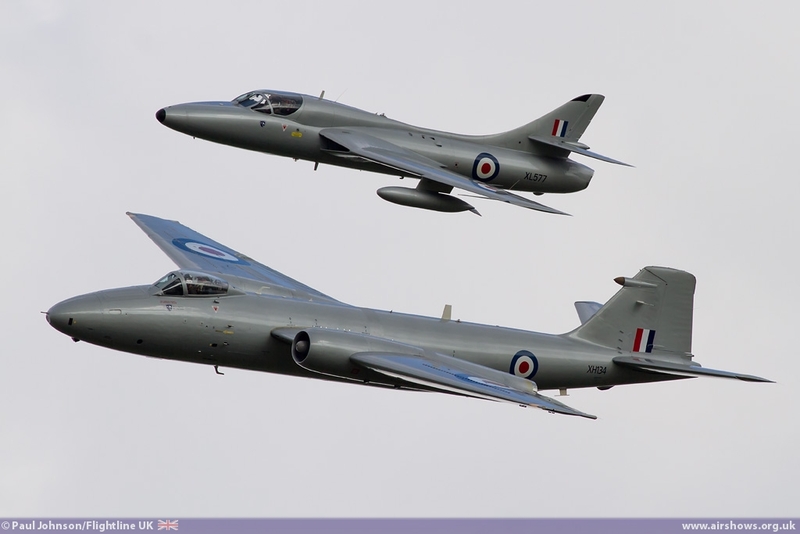 Two further Hunters also took part in the flying. 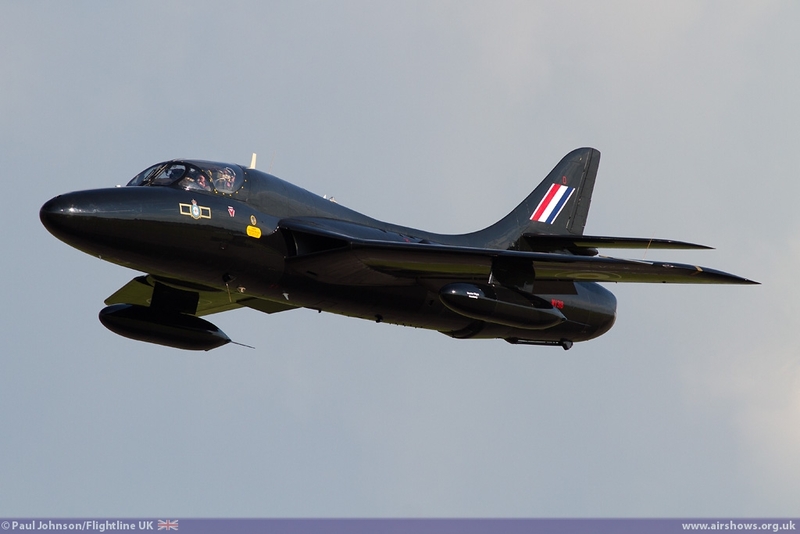 The aforementioned Hunter Flight Academy Hunter T7A WV318 has been a familiar aircraft at UK shows ever since it was made airworthy by Delta Jets. 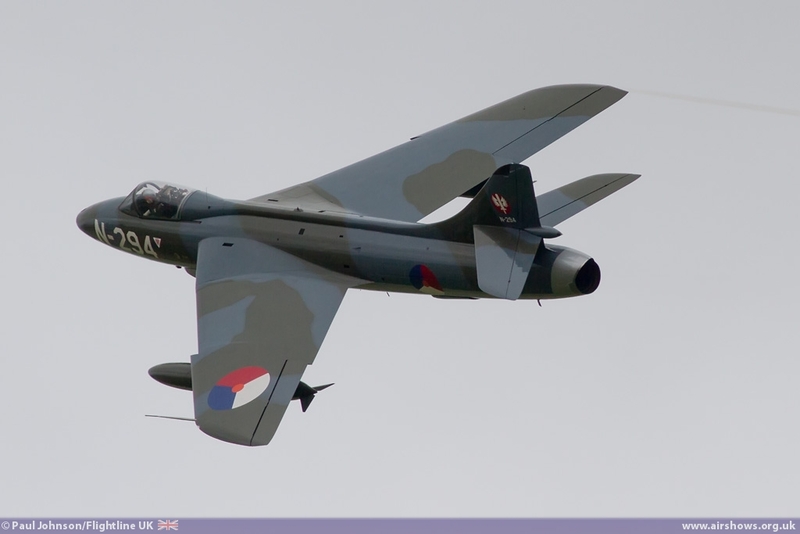 However perhaps the most exciting Hunter display came from the Dutch Hawker Hunter Foundation's Hawker Hunter F6A. 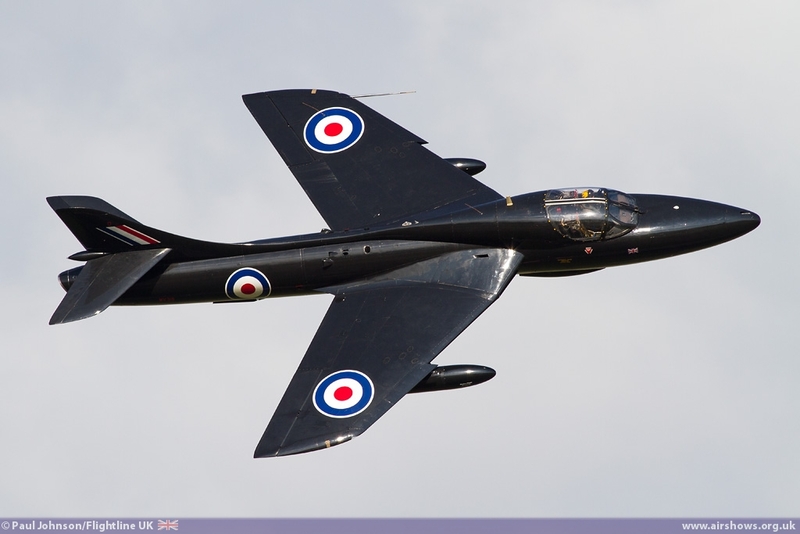 Once operated by Kennet Aviation, the DHF keeps this Hunter together with the former OFMC Hunter T8 for airshows across Europe. 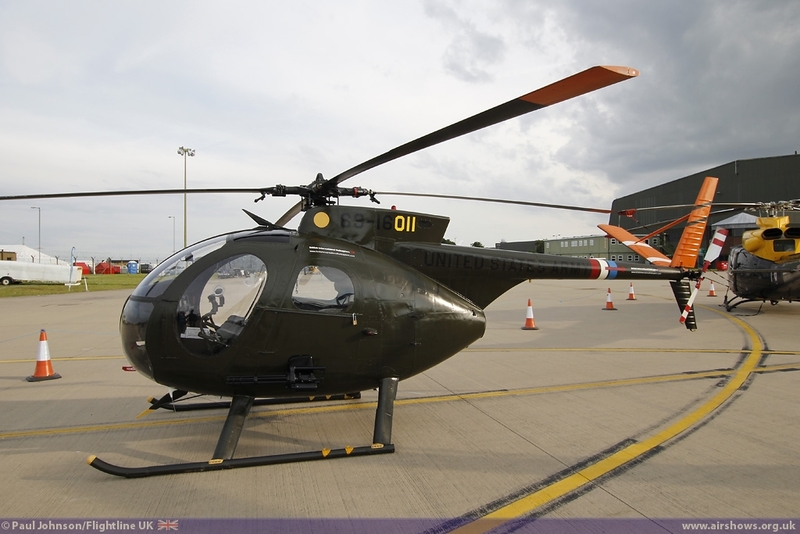 Under DHHF operation, this aircraft has only once taken part in a UK before at the Cotswold Airshow held at Kemble as part of their big Hunter formation. 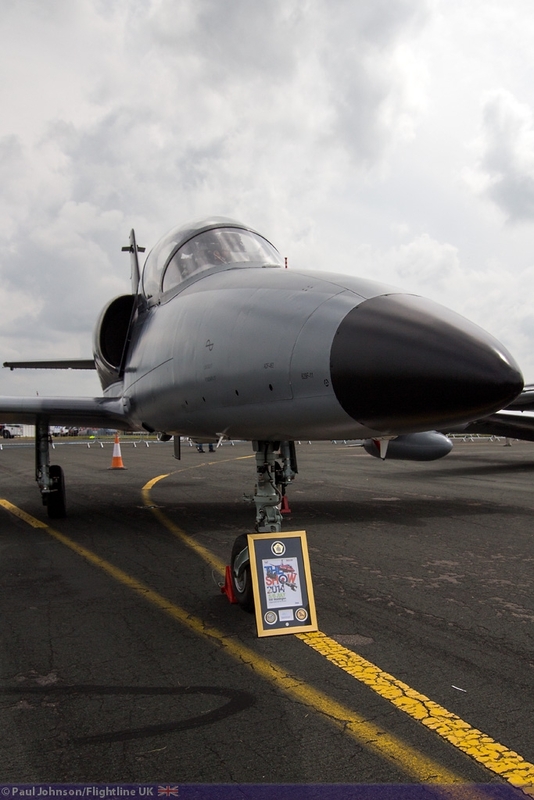 At Waddington however it performed its own solo complete with signature blue note passes which earned its pilot Patrick Tuit the award for best overall flying display. 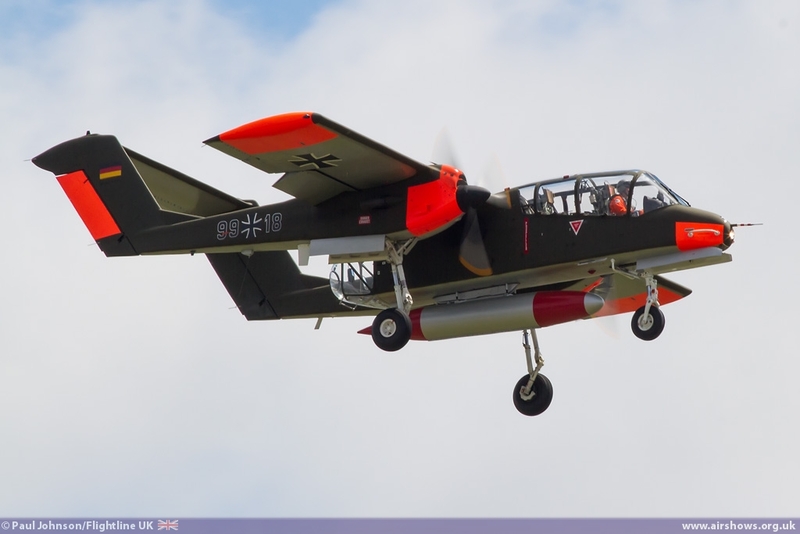 A very welcome returnee was the Bronco Demo Team with their North American OV-10B Bronco flown by Tony de Bruyn. 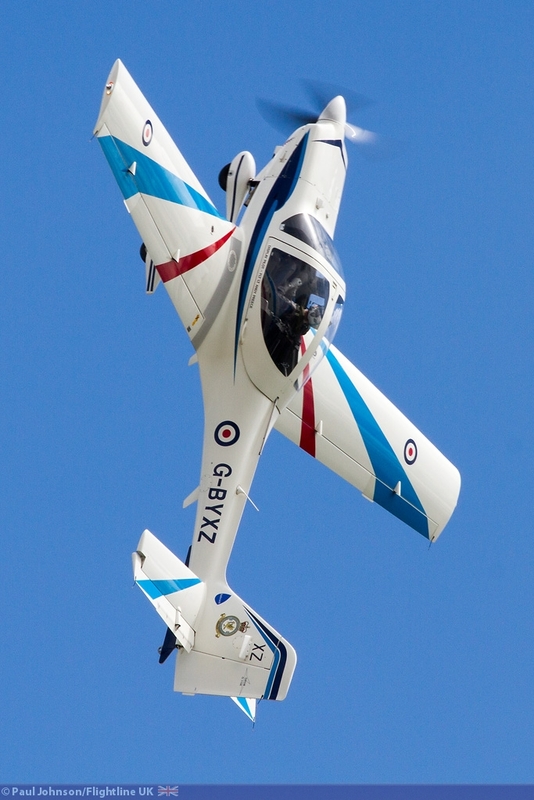 The team are always one of the most enthusiastic participants at the airshows they attended, not only presenting a pristine aircraft but also with their colourful supporting stand and team members. 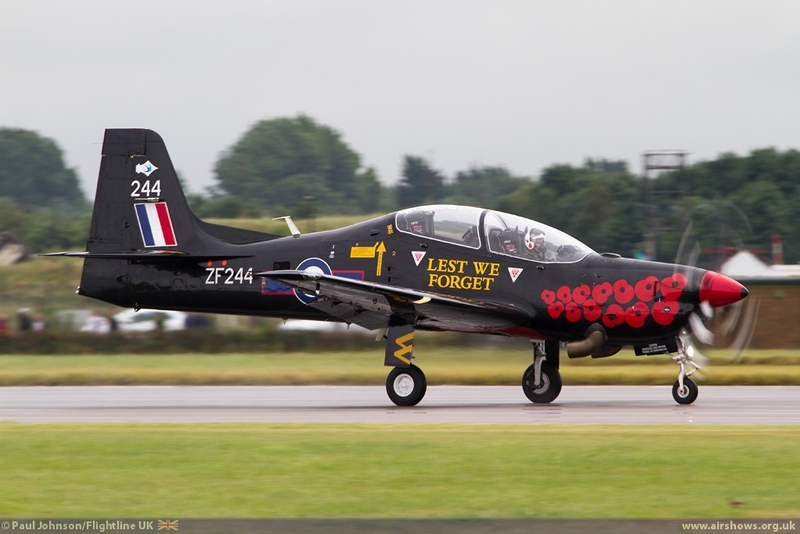 It was particularly pleasing to see Tony back displaying the Bronco having recovered from his accident at Kemble a little under two years ago. 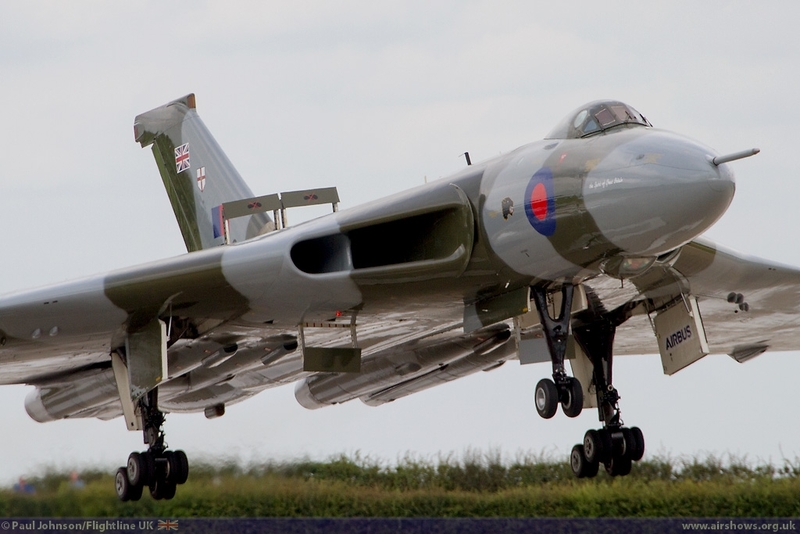 For Avro Vulcan B2 XH558, Waddington is something of a second home. Not only was Waddington her base while in the RAF Vulcan Display Flight but she has appeared at the Waddington Airshow every year since she made her debut in 2008. 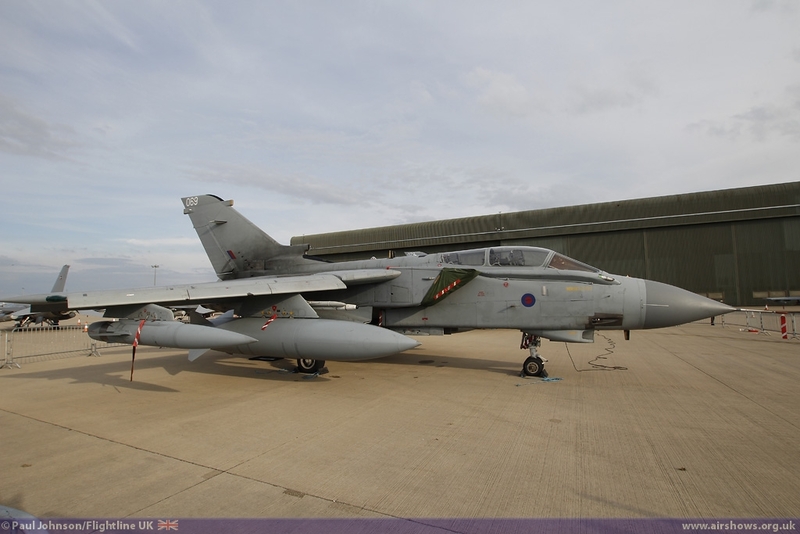 It is always great to see the aircraft back at Waddington, particularly alongside XM607 which stands as a gate guardian near to the A15 which borders the airfield. 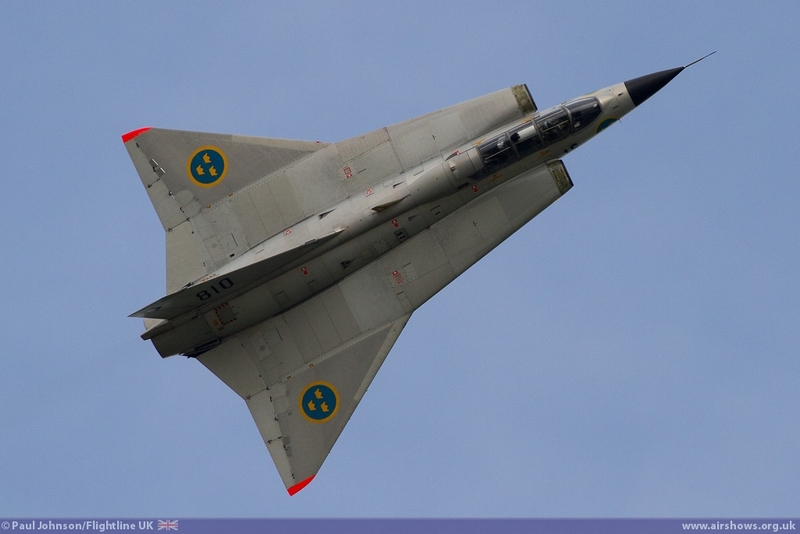 However, it was another pair of Delta-winged Classic jets that were the really show-stoppers. 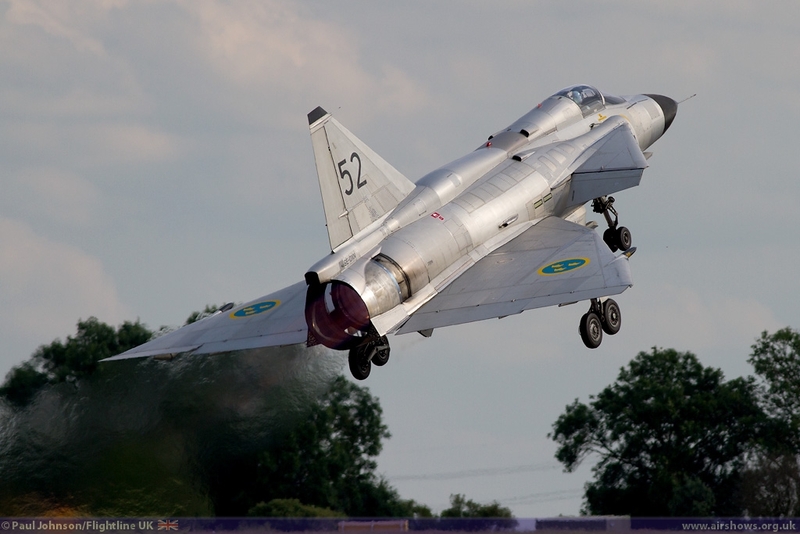 The Swedish Air Force Historic Flight first appeared at Waddington last year with the SAAB Sk60, J29 Tunnan and the thunderous AJS37 Viggen. 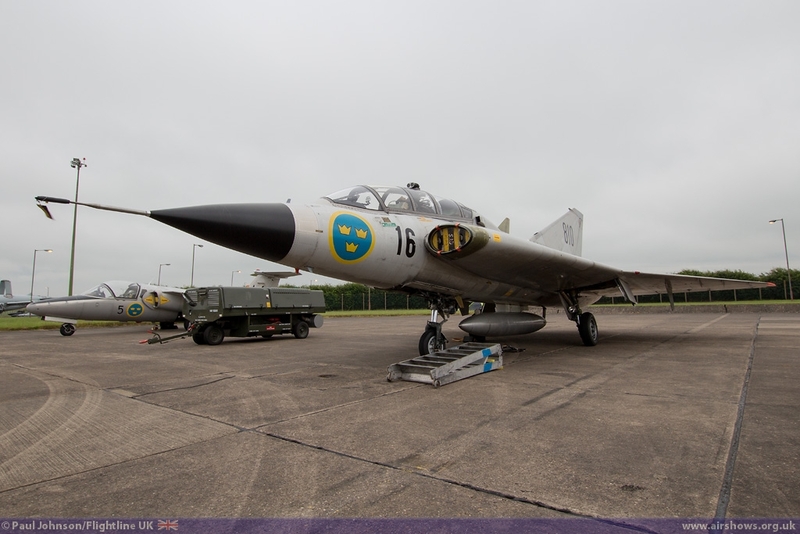 This year saw the Viggen return with the Sk60 in support and it was joined by the latest airworthy addition to the fleet, a SAAB Sk35C Draken. 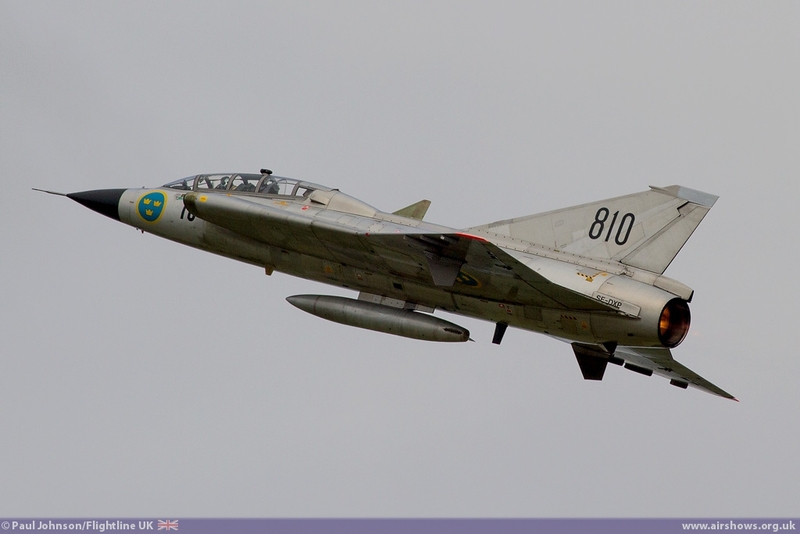 This two-seat operational training variant of the Draken made its post restoration flights earlier this year so it was very special to see the aircraft make its UK debut at Waddington. 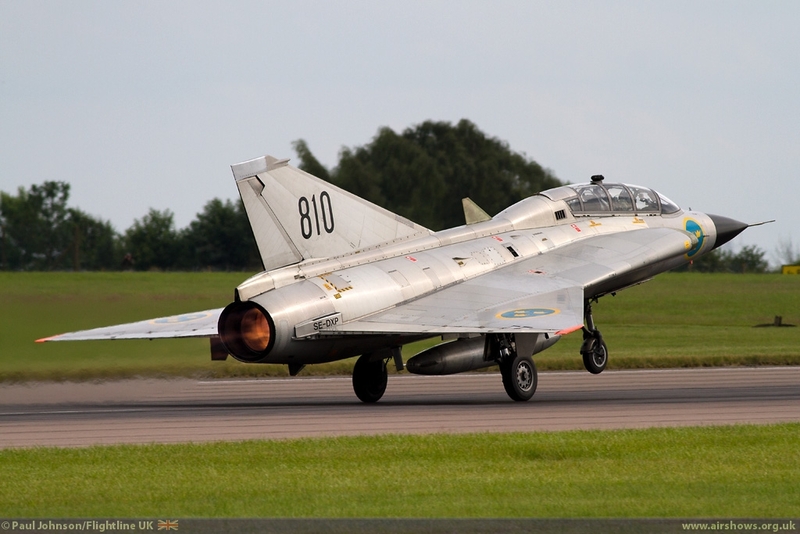 For me, the Draken is even more dramatic to the Viggen with its extraordinary "Double-Delta" wing and fire-spitting reheat. 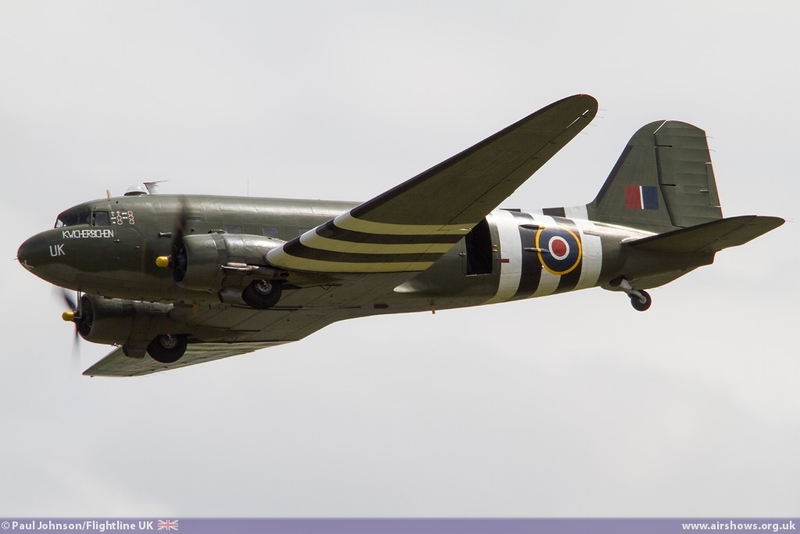 Apart from the BBMF, the only other example of a World War Two aircraft in the flying display was the Boeing B-17G Flying Fortress Sally-B from Duxford. 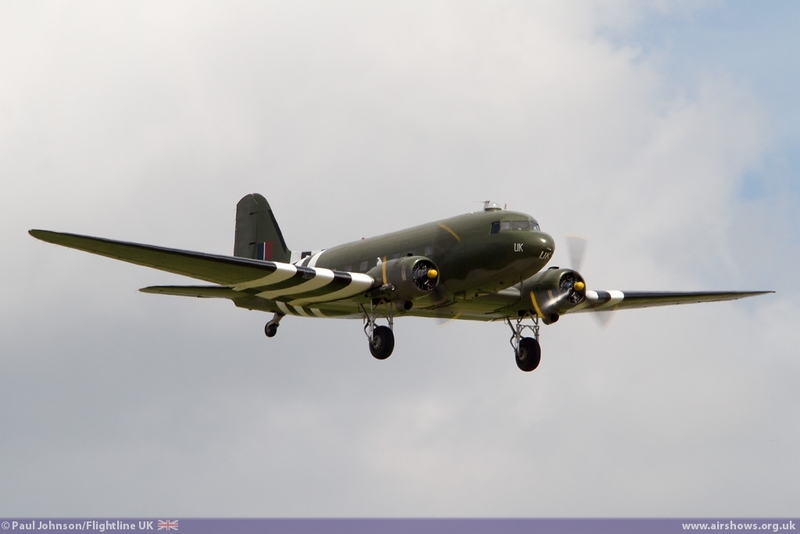 It is great to see Sally-B at any show and particularly pleasing to see the aircraft have a busy schedule of airshows for 2014. 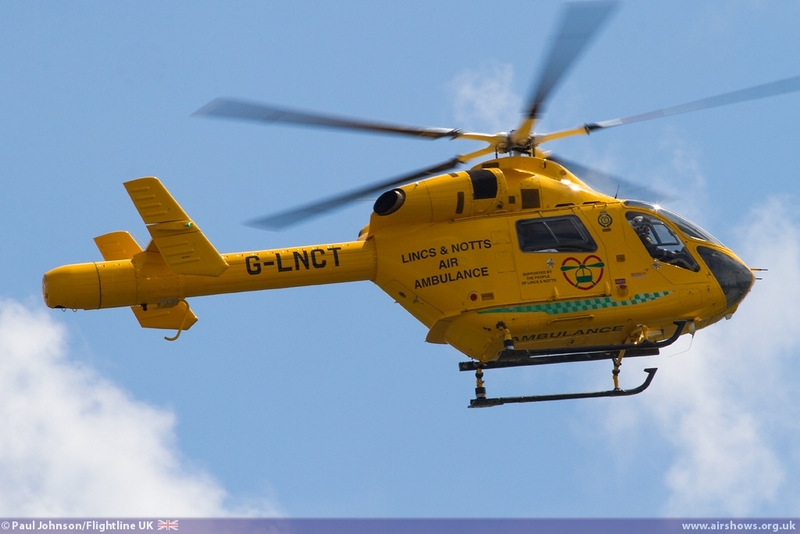 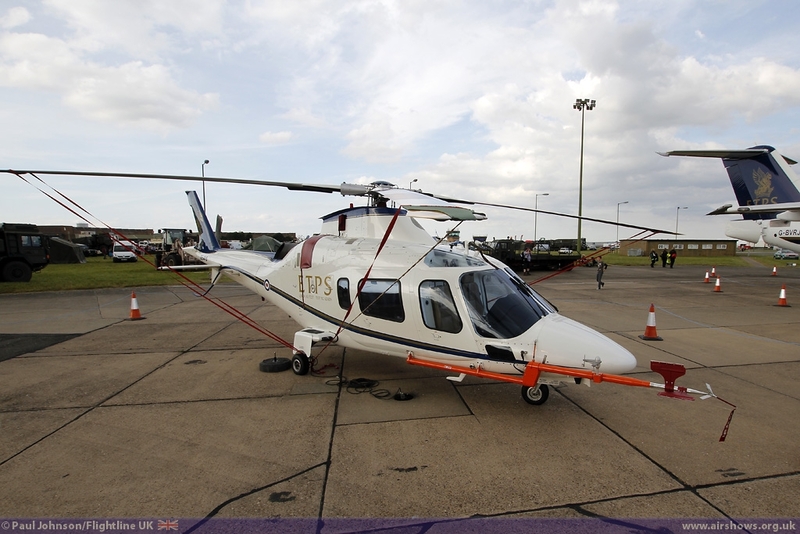 Amongst other civilian operated displays were the Blades and the local Lincolnshire and Nottinghamshire Air Ambulance which gave a "Role Demonstration" for the first time during the flying display with their MD Helicopters MD902 Explorer. 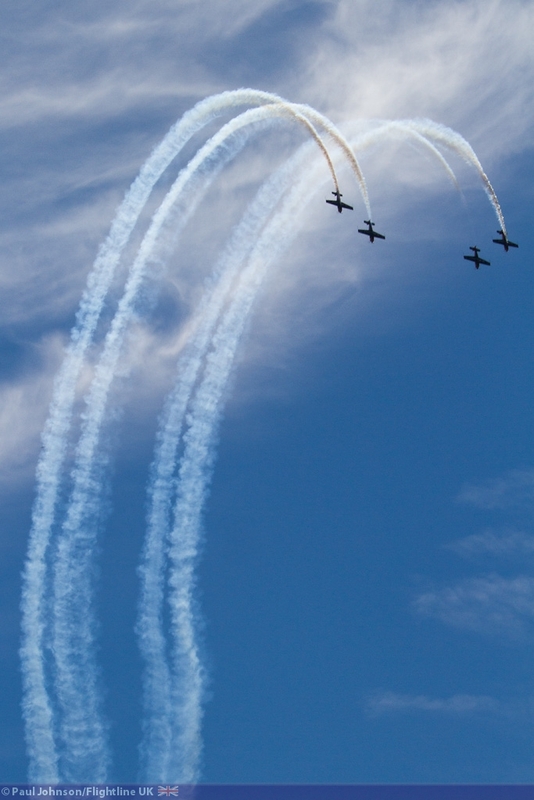 Like other shows this year, attracting foreign military participants proved to be a challenge this year. 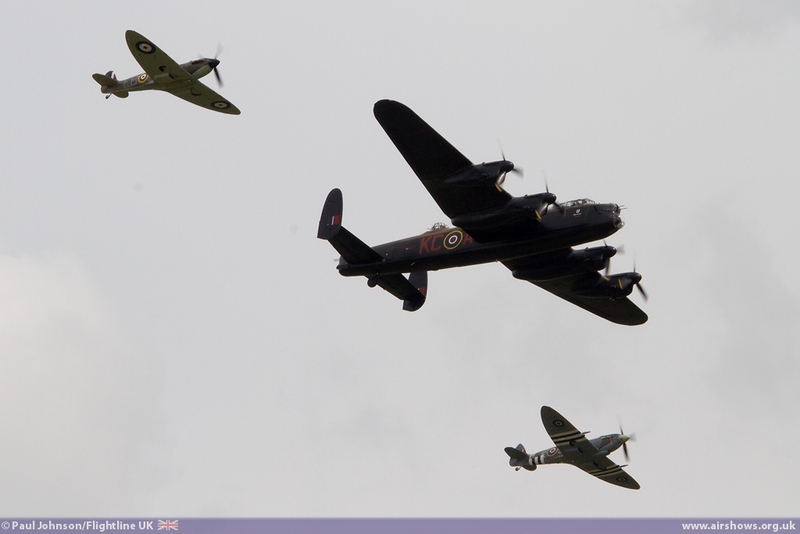 Having said that however, what Waddington did manage to attract was certainly a quality line-up. 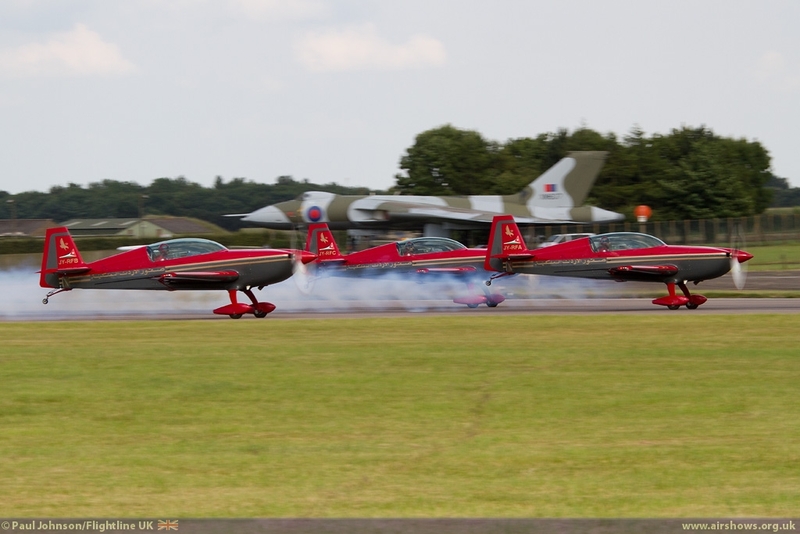 The Royal Jordanian Falcons started their annual European tour at Waddington bringing a great display of precision aerobatics with three of their Extras. 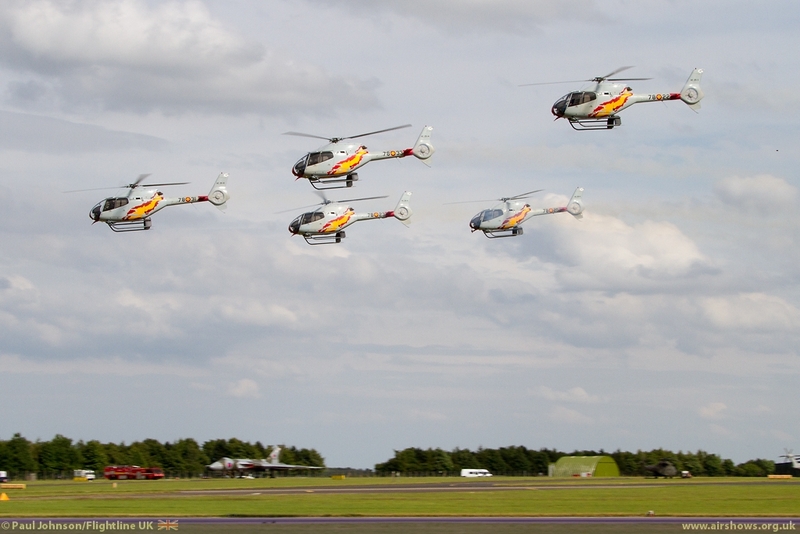 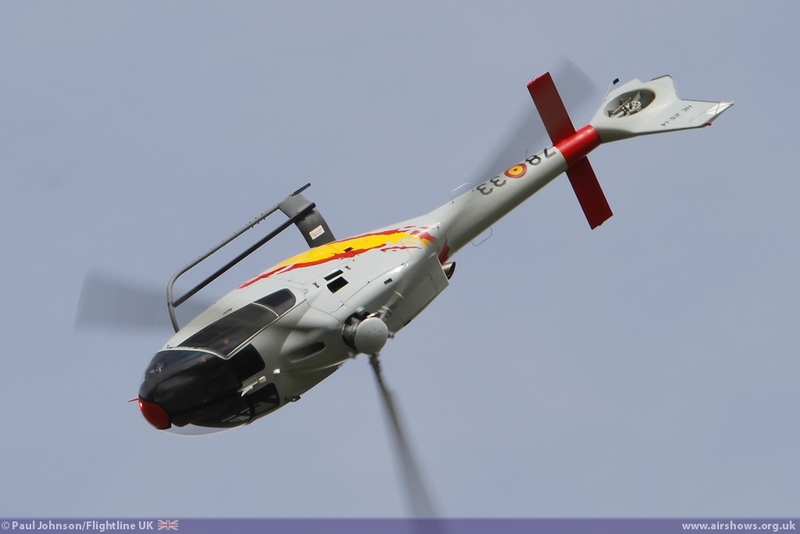 However the star team were Patrulla ASPA from the Spanish Air Force making their UK debut at the show. 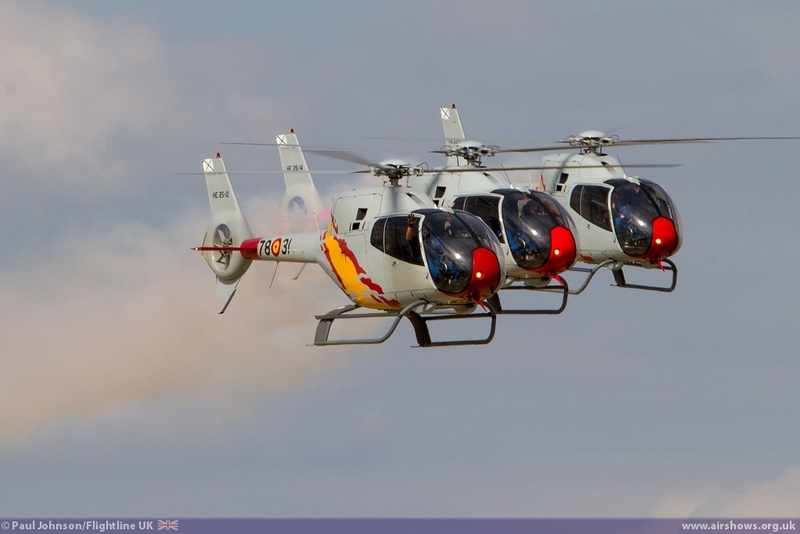 Flying five colourful EC120 Colibri training helicopters complete with smoke systems, the team put on a very fine display of helicopter formation flying and dramatic solo manoeuvres. 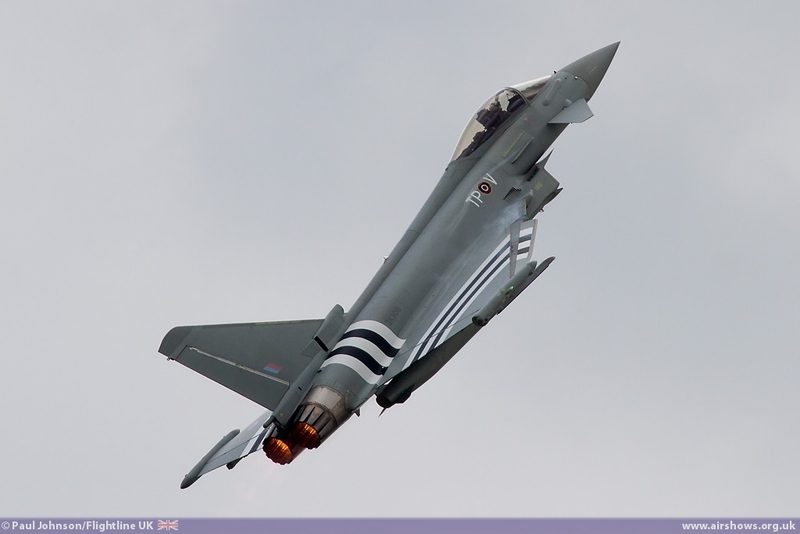 Their appearance at Waddington was undoubtedly one of the overall highlights of the show and the 2014 airshow season. 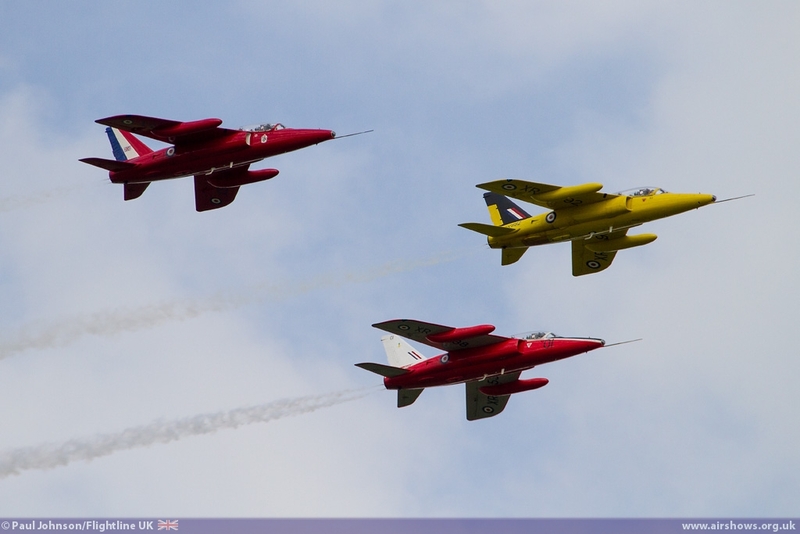 Solo fast jet flying came from two of the best display in Europe. 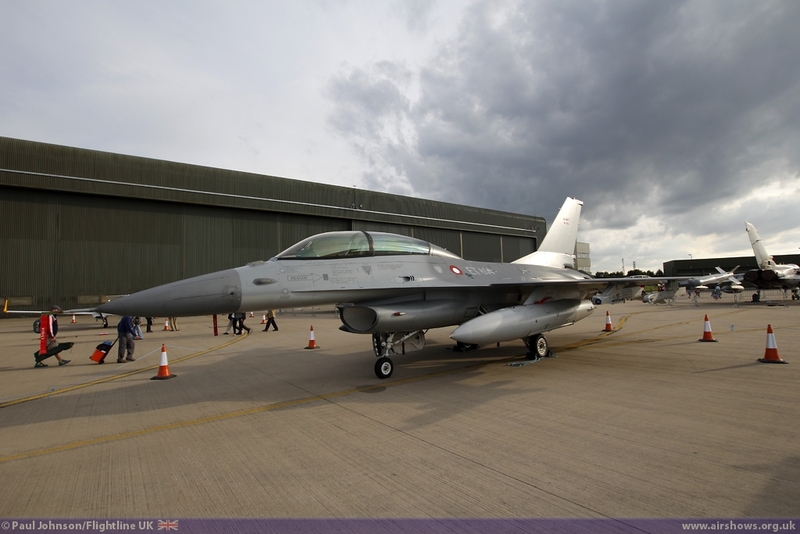 The Turkish Air Force F-16C Fighting Falcon solo display, otherwise known as "SoloTurk" is one of the finest of the European F-16 displays. 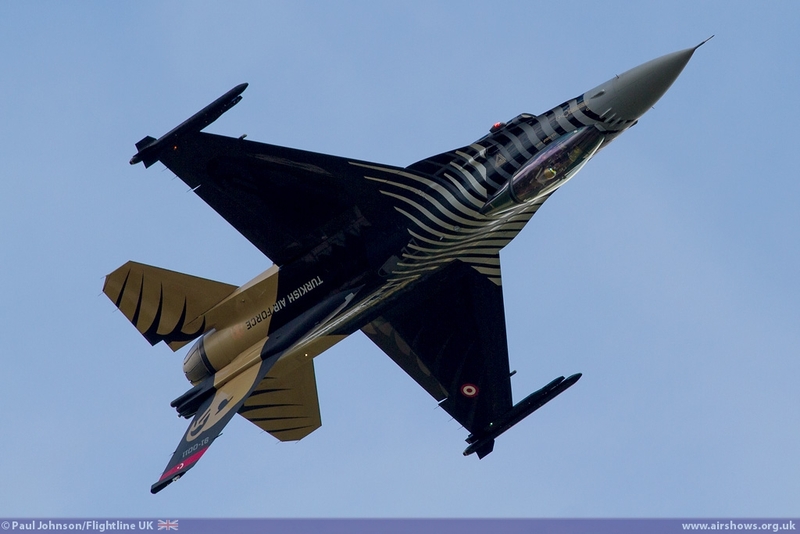 Not only to the aircraft, including the spare this year, sport quite amazing paint schemes, but the Turkish pilots clearly have a great flair for display flying. 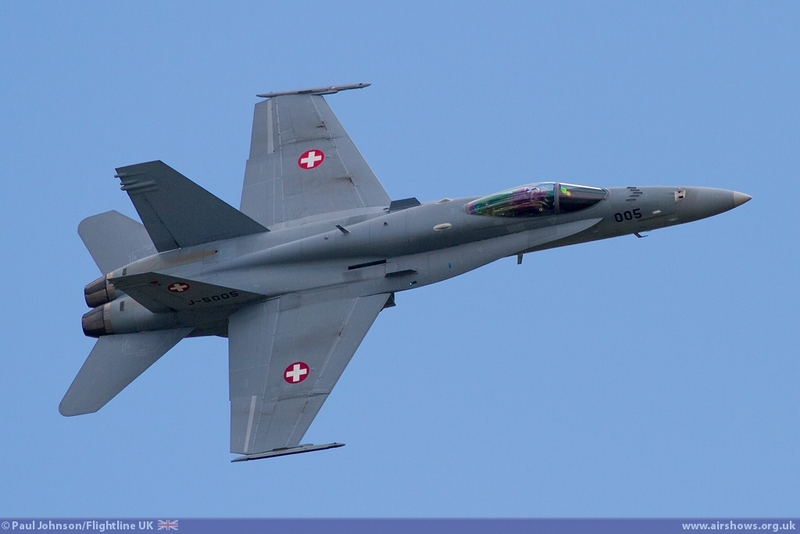 The Swiss Air Force F/A-18C Hornet solo is a welcome returnee to the display circuit this year with Julien "Teddy" Meister at the controls. 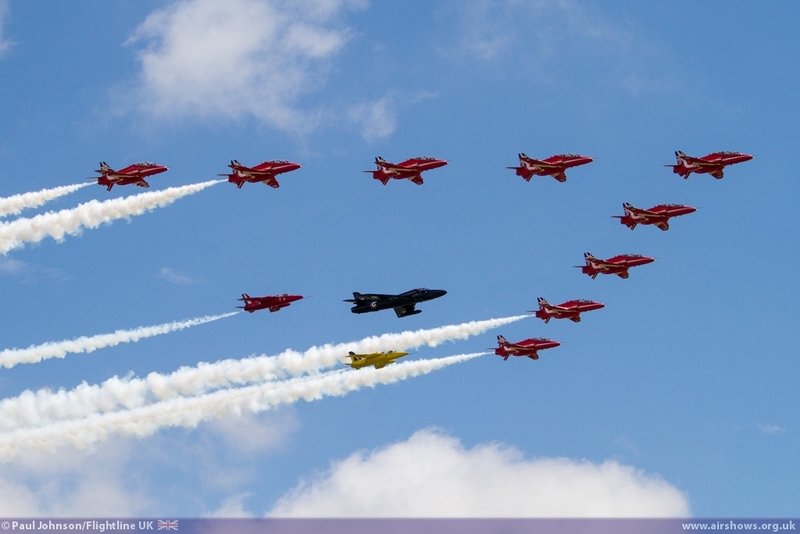 The Swiss Air Force is celebrating its 100th Anniversary this year and the air arm's display teams are appearing at a wide range of displays across Europe, particularly in the UK where Julien will be attending two other airshows later in July. 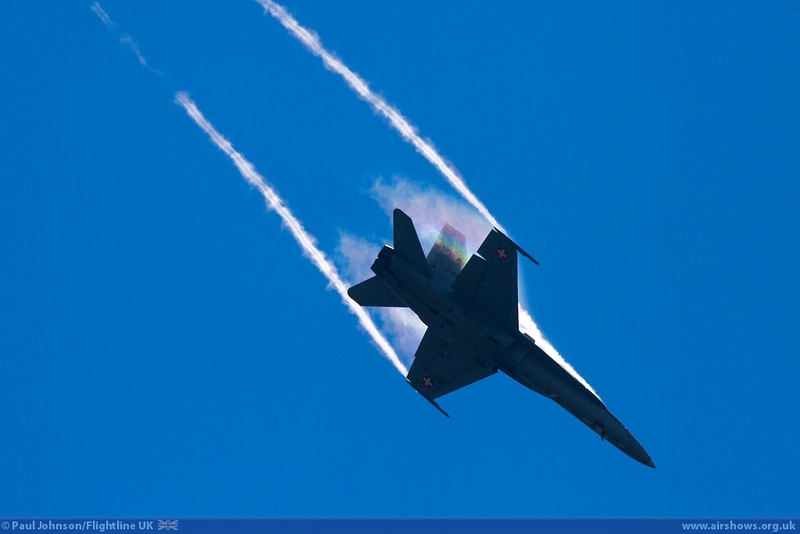 His displays were powerful demonstrations of the unique Hornet agility with some very high alpha passes and squares turns drawing plenty of vapour off the wings of the aircraft. 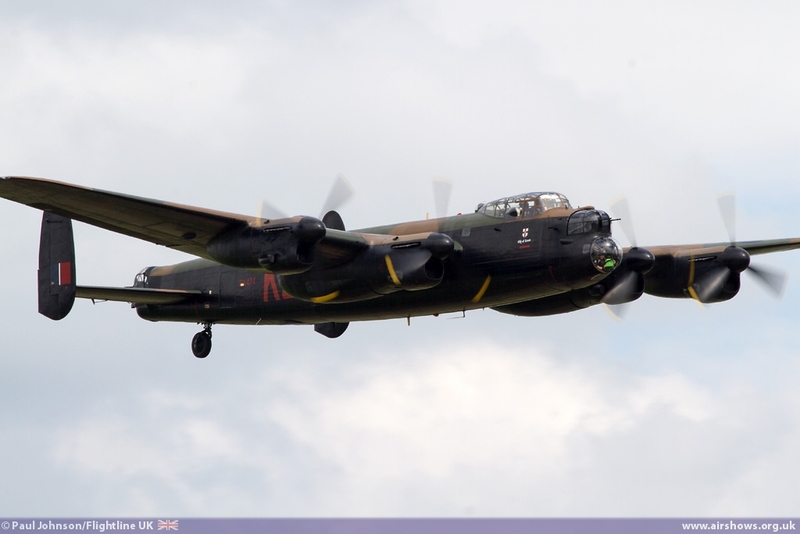 With the show being a complete sell out and completeing two very full days of flying, Waddington 2014 was another huge success. 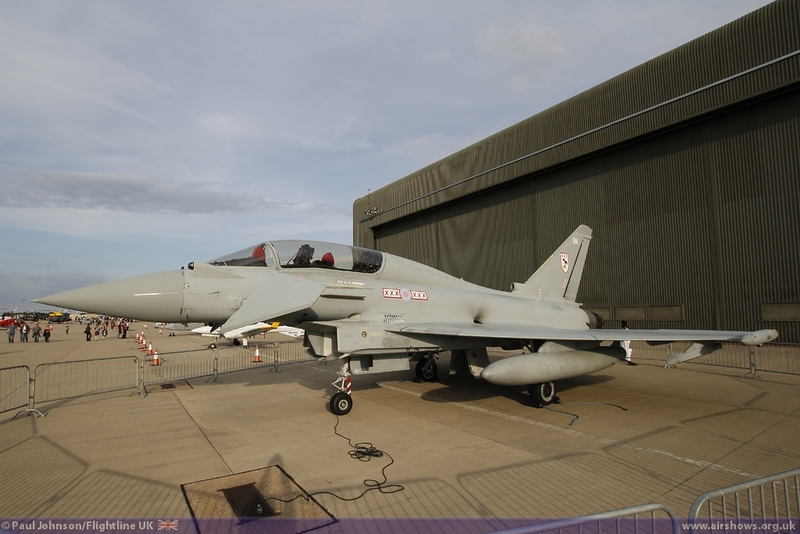 News broke in the days before the show that there will be no show in 2015 due to works on the stations runways and movement areas, Naturally this has lead to fears Waddington could disappear which would be a tradegy for the UK Airshow scene. 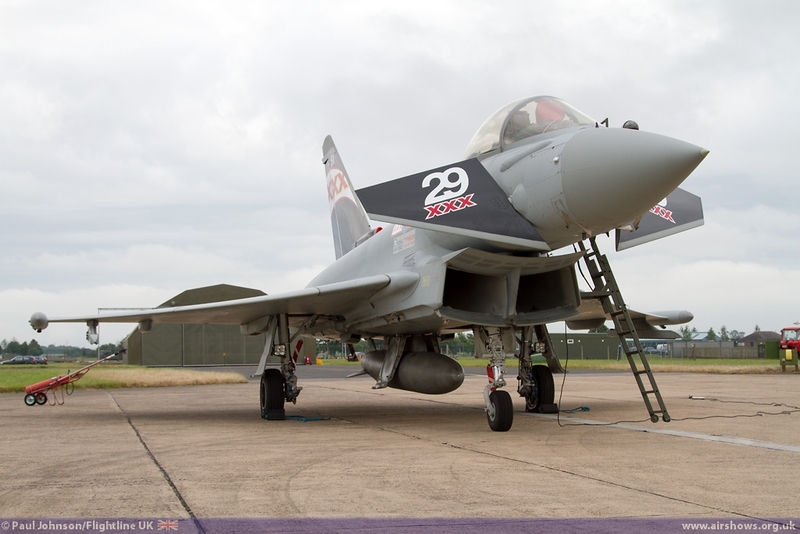 We hope that the MoD and RAF together see the tremendous Public relations potential of the Waddington Airshow and we see it return in 2016.